This is the 2018 review crew. View the current year (2019) review crew here. 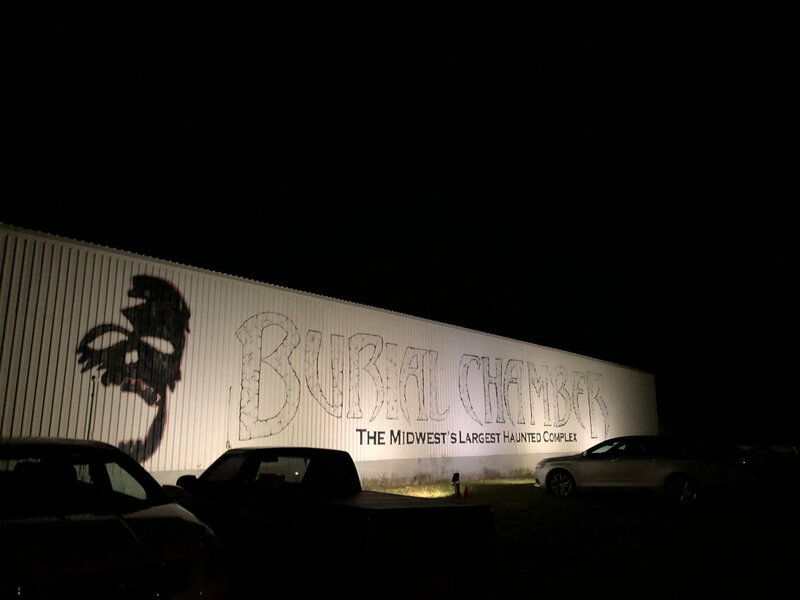 by hex_on_you (Junior Review Crew Member) after attending on Sunday, October 21, 2018 at about 7 p.m.
Burial Chamber has always been at the top of my list of haunts--and for another year they didn't disappoint! Burial chamber is a well run, well seasoned haunt with numerous live actors in incredibly detailed costumes and makeup, and cinema quality sets throughout their three haunts. Burial Chamber has three different attractions--an outdoor haunted forest filled with interesting creatures, and two indoor haunts that will have you guessing what is around every corner. 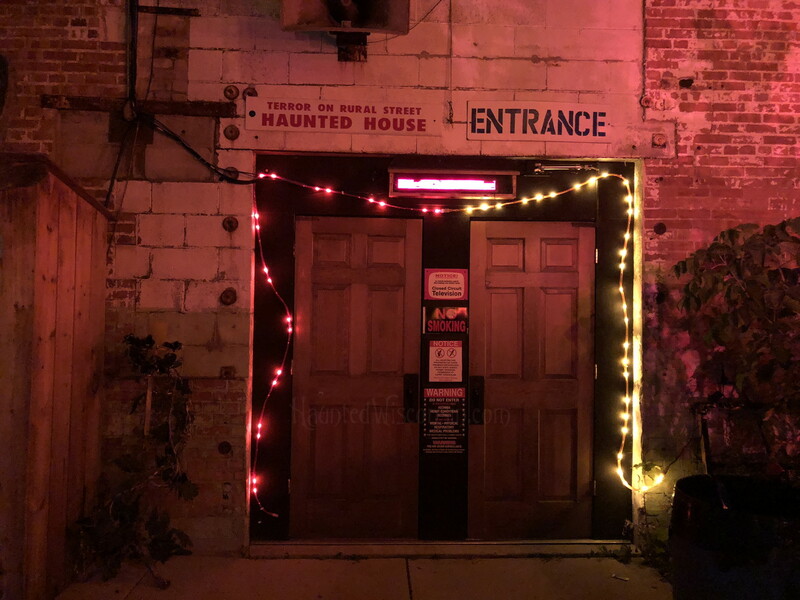 It is obvious that this haunt pays close attention to detail--as each one of the three haunts is well detailed both in its sets, its costumed live actors, as well as the layout of live and animated scares. Burial Chamber is easy to find, located in Neenah, and has multiple ticket options. Guests are able to attend each of the haunts separately or purchase a ticket for all three. There's also an option to upgrade to the quick pass and skip all the lines, and with Burial Chamber being a popular haunt, the upgrade is well worth it! Burial Chamber is very easy to find. They have ample, well-lit parking and staff directing traffic. The ticket lines are well organized and easy to navigate. All waiting lines are outside--so plan accordingly. There were multiple monsters lurking through the lines and grounds, and we loved how interactive each one was! While you wait, you will also find multiple gift shops and concession stands throughout the grounds. Burial Chamber is a popular haunt, so expect to wait--the upgrade to the quick pass is well worth it! Each and every actor was completely committed to their role--and there we plenty of live actors to go around! With three haunts, I'm always nervous that actors would be sparse--but not at Burial Chamber! There were growling, snarling, chainsaw-wielding creatures around every corner. Be aware--monsters are lurking everywhere--even above your head! I've always admired Burial Chamber's high quality sets and animatronics, and this year, once again, did not disappoint. 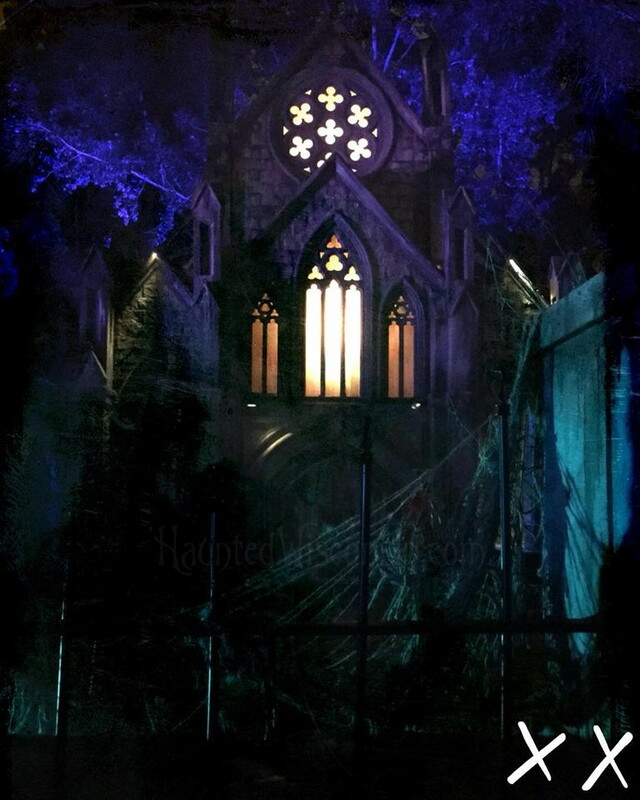 From what we could see, the outdoor portion of the haunt ('Phobia') had lots of amazingly constructed sets--we wish there would have been just a tad more lighting so we could have admired them more! Our group loved navigating through the twists and turns of multiple outbuildings and sets. 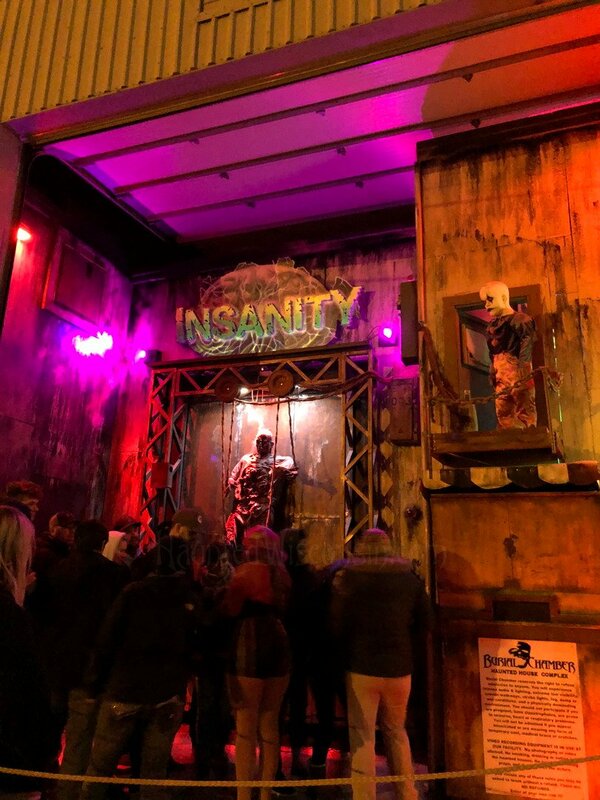 The second attraction ('Insanity') was the most memorable--from long, dark, winding hallways with 'peek-a-boo" windows and holes peeking through to other rooms in the haunt, and topsy-turvy rooms that make you feel disoriented, you never knew what new effect or creature was coming next. Kudos to the 'Panda' room--we had lots of fun! Last but definitely not least was 'Adrenaline.' This third attraction definitely keeps the adrenaline pumping and keeps you on your toes with loud sirens and flashing lights and effects to keep your senses heightened. Look out below (and above) as floors change texture and monsters drop from overhead! Our most memorable scare came from monster dropping from the most unexpected place! From ticket line to end we spent approximately an hour at the haunt. We upgraded to the 'quick pass' as lines were long. We were able to skip the long ticket line, and the long lines at each of the three attractions. The haunts themselves were an excellent length and well worth the price! Crowds were well managed and well organized. It's obvious that this is a haunt used to large crowds--each of the waiting lines was well lit and the signage was clear. We were easily able to find which line to jump into next. Once inside the haunt, we didn't have to worry about catching up to the group ahead of us or having a group catch up to us, as the haunt entrances were well timed. Our most memorable moments came from the last of the three haunts, Adrenaline. Special shout out to the actors daring enough to climb overhead and give us a great jump scare! We also loved the animatronics and special FX in this haunt--watch out! Once again--kudos to Burial Chamber for a haunt well done. This haunt is always at the top of my list, and it was a joy to share this haunt with four friends who have never attended. Everyone in our group had fun and was able to experience more than a few scares! From plenty of live actors to amazing FX, this is a haunt you will want to visit this season....and every season after. 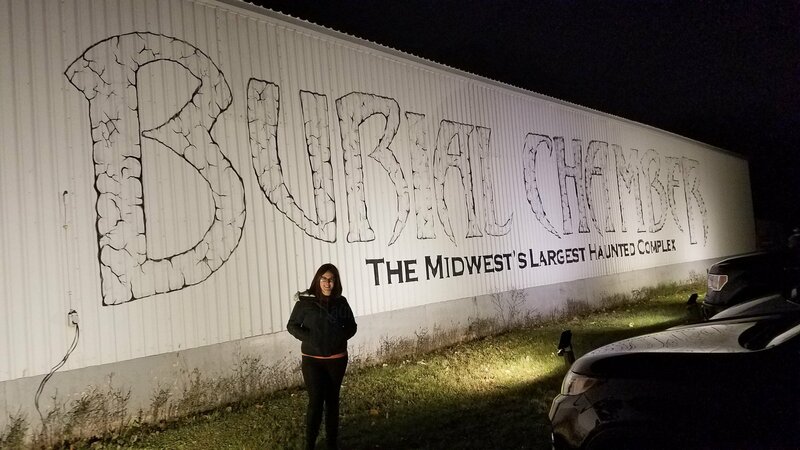 by PaigeBerrier (Senior Review Crew Member) after attending on Sunday, October 21, 2018 at about 8 p.m.
Burial Chamber is one of Wisconsin’s premier haunted complexes, with three separate haunts, including an outdoor trail. The sister to the more southern Abandoned, BC has a lot to brag about with these haunts – the acting is superb and the sets are straight out of a nightmare. Everything about Burial Chamber adds up to the perfect Halloween night. Our group chose to go on a Sunday, which is a great option if you’re attending a haunt later in the season (closer to Halloween). We also had fast passes, so our wait in lines was virtually non-existent, although BC is well-equipped to entertain those in line with food trucks, videos footage and monsters walking around! 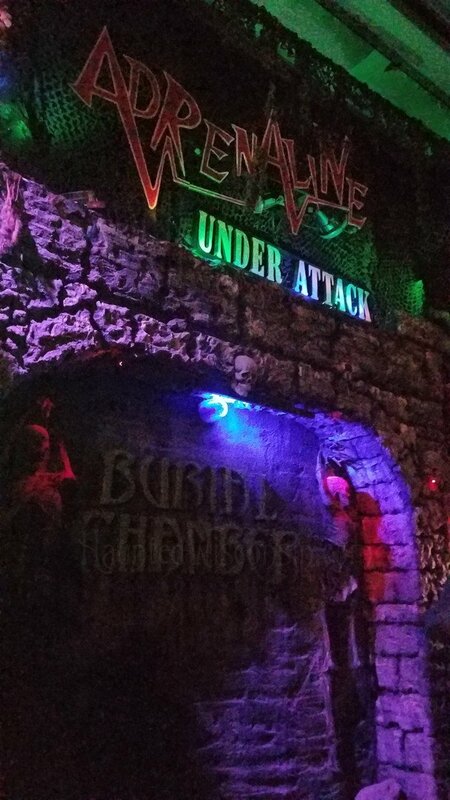 Our favorite haunt of the night, Adrenaline lives up to its name – my heart was pumping and I was constantly on edge as we crept through this haunt. 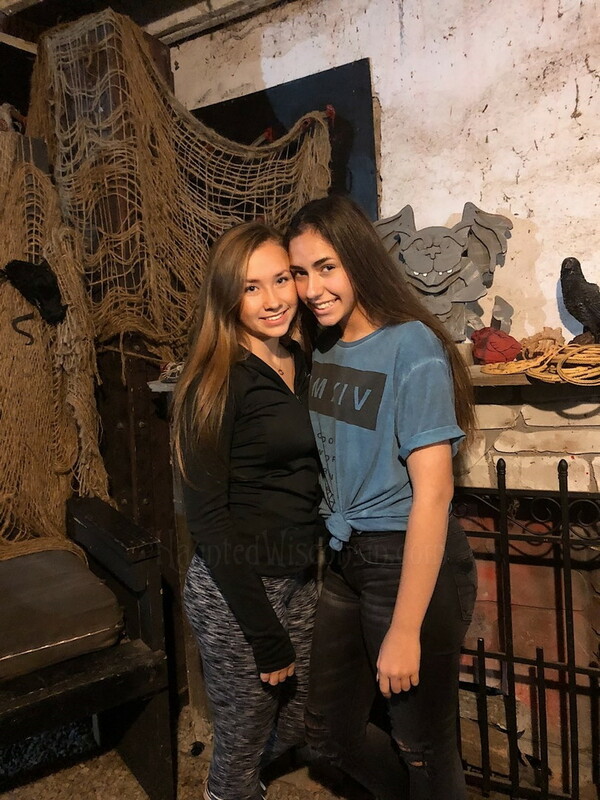 We experienced some amazingly timed jump scares and even some sounds that were just terrifying – strange clicks, screeches, and a jackhammer that echoed throughout the whole haunt. With a focus on the army/war, BC had a completely new haunt for the season, utilizing some great props and really creepy imagery to terrify. One crawling girl had me scrambling out the door! 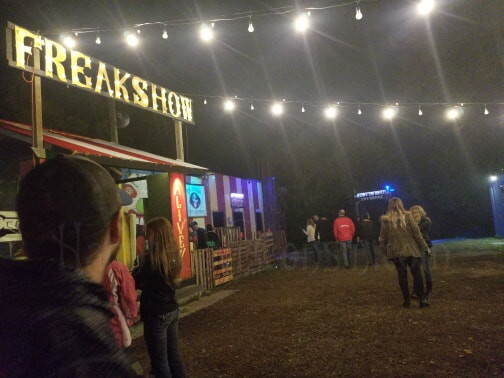 This outdoor haunt provides a bit of levity after the terror of Adrenaline, with some of the actors making more jokes and being scary/funny as you make your way through. There were a few really scary moments, most notably when one actor crawled very unusually (can you tell I have a specific fear? ), but in general, I did feel as though this haunt hadn’t changed too much from last year. However, it’s got some great jump scares, some really cool, tight environments where you can just see the outside, which leads to a lot of anticipation. Also, the woods and trail themselves are fantastically creepy! Disorienting and startling, insanity uses some larger props to create their environment – we encountered several inflatables, huge animatronics we had to scurry past, and several arms that reached out for us in the dark. I was particularly disturbed by a white face coming out from a painting, and all of us were thrown off when we entered into the field of laser mist. Very easy to find; with a huge sign and parking area. Excellent – Burial Chamber has several food trucks, a store, some shops, the burial simulator, videos playing, and of course, some awesome actors walking around. Awesome, particularly in Adrenaline – those actors knew exactly when to jump out and when to hold back, and didn’t need a lot of words to be scary! Absolutely amazing, so detailed and intricate, down to the smells and dripping water. You literally will not believe your eyes. Each scene looks straight out of a horror movie, and it just goes on and on! Very long; each haunt took at least 20-30 minutes. Great; very clear lines and a clear system for letting guest inside. I was scared double with a car horn and scream in one moment of Adrenaline – SO impressed with the timing on that one; it REALLY got me! For the Halloween season, Burial Chamber is an absolute MUST visit! With three amazing haunts and a team of fantastic monsters, Burial Chamber will leave lasting images in your brain of their terrifying scenes. This haunt is detailed, long, and most importantly, chock full of SCARY moments! by dubstyle_2k (Senior Review Crew Member) after attending on Sunday, October 14, 2018 at about 9 p.m. 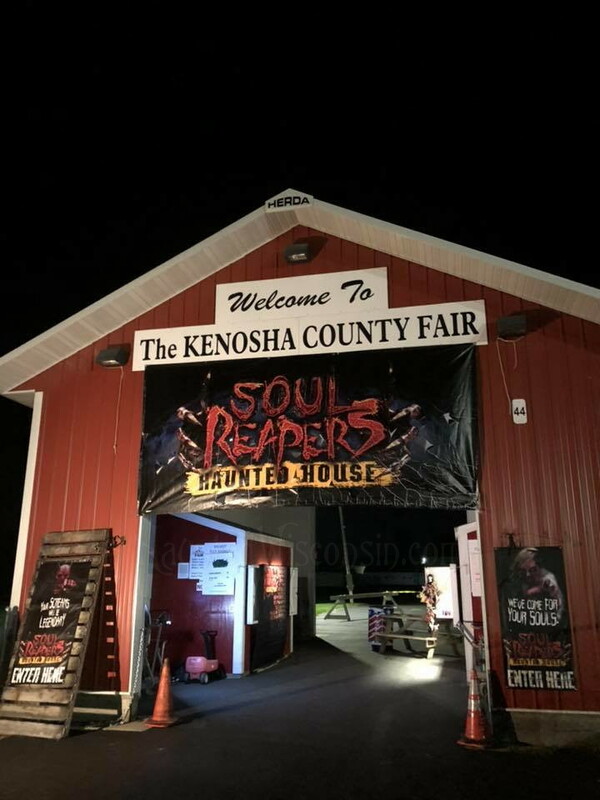 Soul Reapers, located at the Kenosha County Fairgrounds in Wilmot is back for their third season. I reviewed Soul Reapers two years ago, and really enjoyed it, though it was small and lacked a few things that I thought would improve as the years went on. I decided I would check out Soul Reapers again this season and see what has changed, if anything, since their first season in operation. Soul Reapers has a vibe that I can only describe as home grown. Walking through this haunt, I was able to take in what was put into making this haunt, and I could tell that they didn't have the budget of a mega haunt like Abandoned. 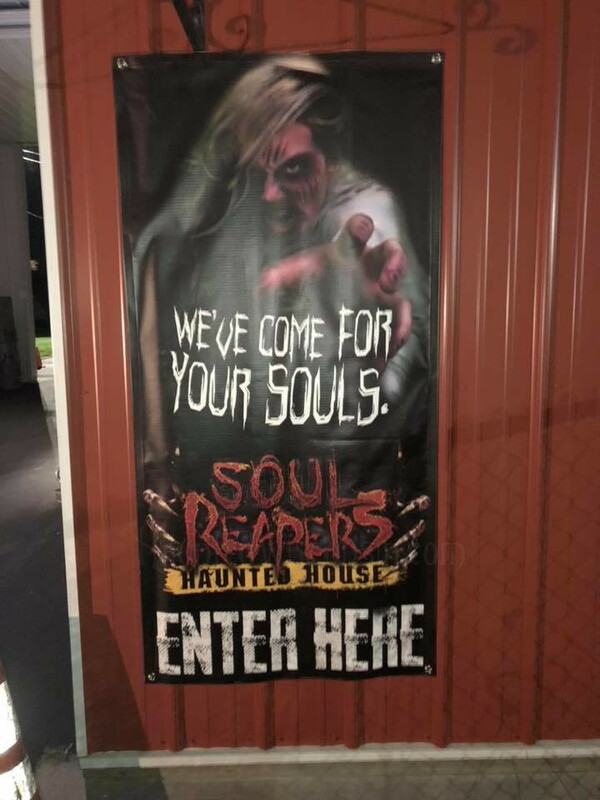 That being said, Soul Reapers has added on since my visit a couple years ago, which was one of my few criticisms of this haunt. The unfortunate thing is, Soul Reapers is still a home grown haunt with a small budget. My major gripe with Soul Reapers is that it was too lit that whole time. As someone who goes to haunts pretty regularly, rule number one for me is, make it dark! I've mentioned in reviews in the past that I rarely get "spooked" and I have a high tolerance for scary stuff, but when I can't see anything, then I'm on guard and thus more likely to get rattled. 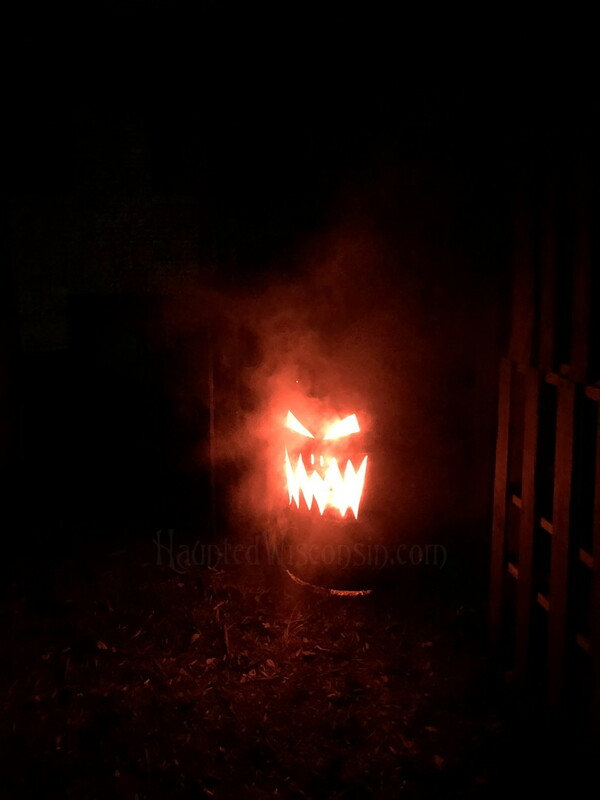 For a haunt on a budget, darkness seems to be the obvious choice, but Soul Reapers didn't go that route. What Soul Reapers lacked in size and sets, they did make up for in actors. A lot of the actors seemed young, but they certainly committed themselves to their roles. I give the actors an A+! Soul Reapers is reasonably priced, with tickets ranging from $15 for general admission or $20 for the fast pass, which I highly recommend since the general admission line was moving at a snails pace; this is something that certainly hasn't changed since my last visit. We opted for the fast pass and were into the haunt relatively fast. There were some actors that roamed the lines, but nothing like the last time I was there. We were in and out of Soul Reapers in less than a half hour, which makes it still too short for my money. Thankfully most of us have cell phones with GPS, I've lived in Kenosha most of my life, I couldn't tell you how to get to the Kenosha County Fairgrounds if you offered me a million dollars! It's out of the way, but once you approach it, there are obvious lighting that help you find the grounds. Slow and not as interactive as my previous visit. This was the highlight of Soul Reapers. The actors were great, and they seemed to enjoy the gig! I keep bringing it back to this, this isn't Abandoned or whatever huge haunt you've been to, this is small. You'll see things that will take you out of it due to the brightness of it all, so this isn't my favorite by any means. This is among the shortest haunts. Things move a little too fast, and the line moves a little too slow. There really wasn't any. There was a police officer on the grounds, but other than that it was kind of lawless. As I stated in my review, we purchased the fast pass, yet not a single person asked to even see our tickets, let alone checked to make sure that we actually purchased the upgrade. It was just assumed that we were in the right line because we were standing in it. I contacted them on Facebook later that night and explained what had happened, hopefully they have better control over who enters the haunt. They do some pretty cool stuff with some lasers. In particular there is one room with smoke and lasers that blinds you from the ground, you can't tell what's below your mid section. I enjoyed this effect! In all I'm not that impressed with what Soul Reapers. I gave it two seasons to work out the kinks, and it doesn't seem like they really have. It's still a short haunt that isn't very scary. If you're looking for a haunt to take your kids to, this might be a great one, as it is brighter and tamer that others. I'll give this one another two years to work it out, hopefully it gets better, I really want this haunt to succeed. by wm (Senior Review Crew Member) after attending on Saturday, October 13, 2018 at about 8:30 p.m. 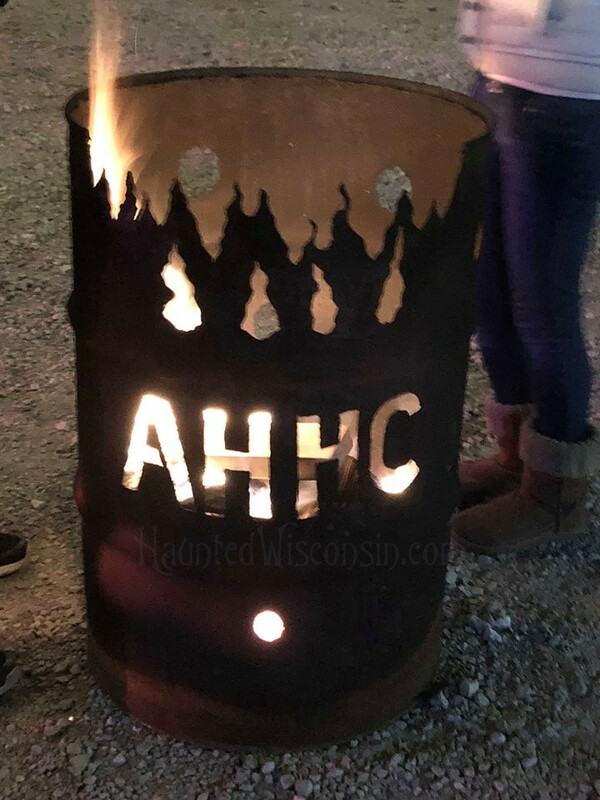 This haunt has been around forever, and every year it is put on the Sheboygan Jaycees. Eight years ago when I first started writing reviews for Haunted Wisconsin, I reviewed the Dominion of Terror and loved every minute of it. This year felt like a perfect time to check it out again! I’m an old school kind of guy. So much so, that when someone at this haunt said ‘Welcome to the DOT’, I had a flashback to the terrifying Department Of Transportation to get my license decades ago. Now that would be a scary haunted house theme! But this DOT is the Dominion of Terror, and it is just as terrifying! The haunt starts out with some school teachers going over the rules of the house. This was one of my favorite parts of the haunt. They were hilarious! Then we were set free to roam around their huge multi-storied building. There are many dark mazes in this haunt. How dark? How about pitch black! There’s also many tight corners and dead ends. Other areas are extremely bright and some strobes are used. There was one prop at the Dominion of Terror that I have not seen in many years, and that is the bridge through the spinning tunnel. A decade ago it seemed every haunted house had one. Now, not so much. It was nice to see it again! This room runs at 7pm, 8pm, and 9pm. That only leaves them 15 minutes to reset the room for the next group, and our time was delayed a little bit. You have 45 minutes to bust out of this escape room. Easy you say? How about adding a little twist to it, like putting a zombie there in the room with you? That takes an already tense escape room and doses it with gasoline! Every 5 minutes, the chain holding the walking dead gets a little longer. There is a mad scientist in the room to oversee everything but overall you are on your own! There are only 3 times per night the DOT Escape Room is run. For this attraction I recommend signing up online and paying through their website. That way you are guaranteed to get in. I can’t really say too much as I don’t want to give anything away, but let me say this: If you like Escape rooms, and you like haunted houses, you will LOVE this. Very easy to find. In a good location right in the city, and all the people waiting in line is a good indicator that you're at the right place! There was a wait to get tickets, and then once you're inside there's also a nice wait area. This is an extremely popular haunted house, so I recommend the Fast Pass! Otherwise you will be waiting for hours. There were several creatures lurking about as you wait, but the most memorable was the 'little girl' wandering around outside. I tried to get a picture with her, but she was not having any of that. She was always on the move, except for one time when she crawled around on the ground. I was able to snap a picture of her quickly and then she was off again running and spinning around like a demon possessed. Later as I looked at my pictures, I was terrified at the image I captured of her! The actors did a great job, especially considering this is an all volunteer haunt. Some stood out more than others, like the clowns and that darn dentist! The sets and props at the Dominion of Terror are built every year by volunteers. This is a home grown haunt with lots of attention and time put into it! Every room is different from the next! There were numerous times that we caught up with the group in front of us, or the group behind us caught up with us. Part of that was probably by design, as the maze has you so turned around you don’t know where you’re going! At one point the maze had us feeling like we were going in circles. In fact, we bumped into the group in front of us! They were convinced that they were going the wrong way, so they started going backwards! Between the haunted house and the escape room, you can easily spend a night at the Dominion of Terror. It's a great time and a great fundraiser! I promise I won't let 8 years go between my next visit! by majorXpsycho (Senior Review Crew Member) after attending on Saturday, October 13, 2018 at about 7 p.m. There is something new in Brown County and it has me just as excited as a Green Bay Packers win! 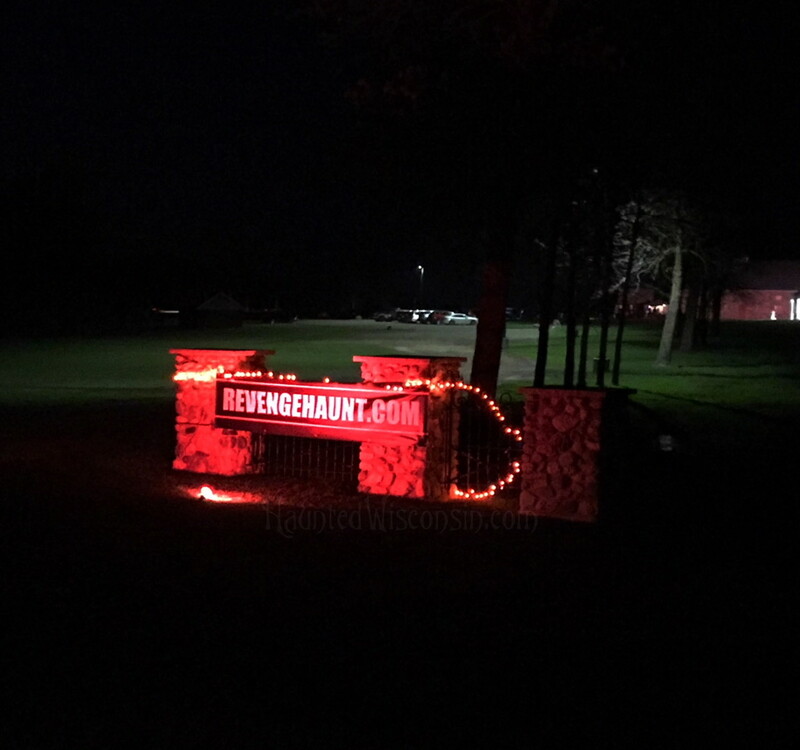 Revenge, a haunted attraction located not far from Green Bay, took the haunt experience all the way to the end zone. If you are not familiar with the area, you are going to need a GPS to locate this attraction. This is a more rural part of Brown County filled with deer, so be careful when driving. Revenge is not as highly “advertised” as some of the other Brown County haunts so it makes it one of the “better kept secrets”. 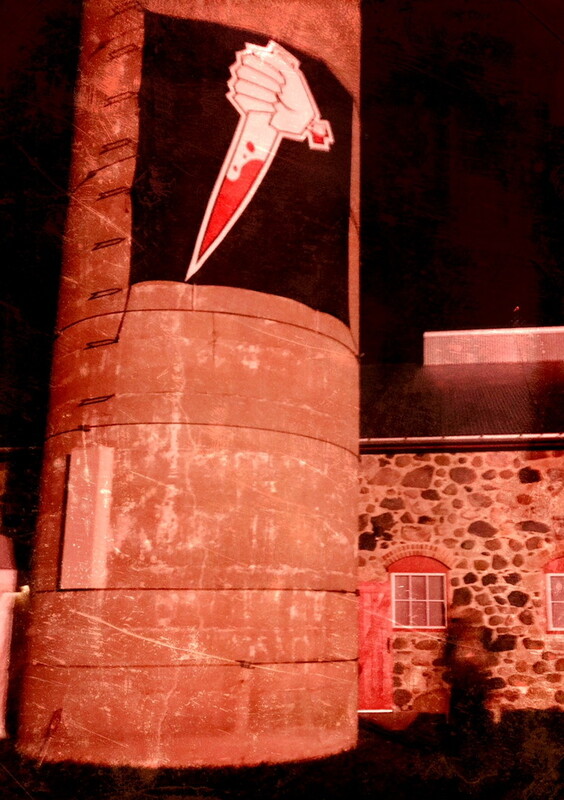 The setting is an amazing 1903 barn that is used for events (weddings, corporate parties) when the ghouls are away. When you arrive there are some treats for purchase, a great photo opportunity (see photos) and the wait is inside so you do not have to worry about bad weather. No ghouls roaming the lines, but there are four large screen TV’s playing some great horror flick videos while you wait. Our wait was a bit longer than expected, but we quickly realized that it was because they only send your group (large or small) in at a time and make sure to time it so that all actors are ready to draw the next victim’s blood. 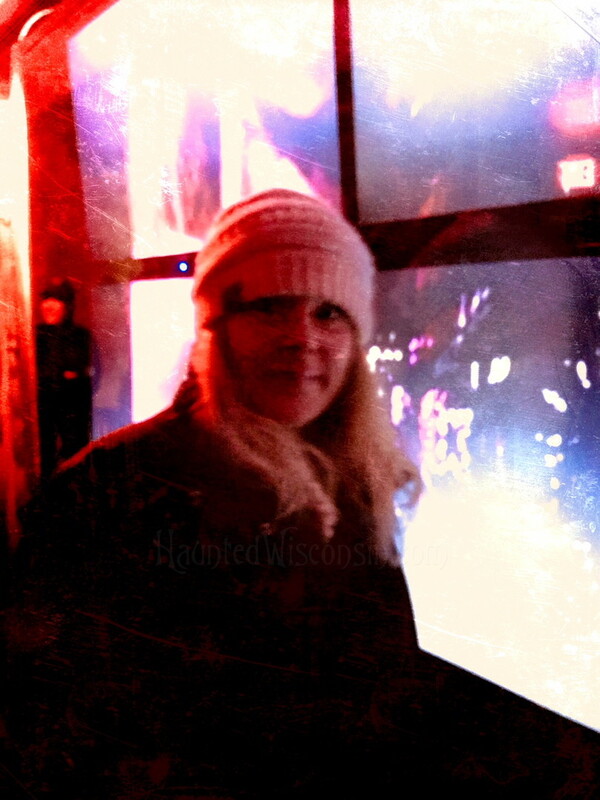 We walked in, I was relaxed … not my first time at the haunted rodeo. It took about 30 seconds in and I could feel my heart starting to race. 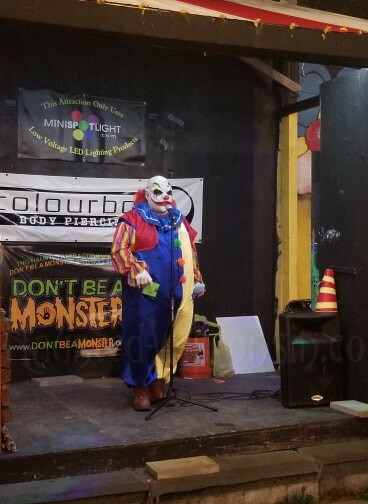 When they say their haunt is “like being in a horror movie”, they do not mean poorly dressed actors with some little red balloons. If you have not seen some of the newer horror movies (The Domestics), you may not know what the scenes are mimicking, but I promise you will leave feeling as if you escaped a real life horror movie. I was scared … as hard as that is to admit, Revenge truly “scared” me and those in my group. If you are like me and say you do not “scare” easily, this haunt is for you. This haunt is not recommended for those looking for just “fun”, it is intense! After I attended, I spoke with a few others who have been to Revenge and they agreed. Actors inside were plenty, brilliant and we had no down time to catch our breath. Every inch of this space was used and it took a surprising 20 minutes at a very fast paced to escape. Revenge has definitely earned its spot as a favorite in my book! Not easily located, you can punch in the address and Google Maps will help. In a very remote location. There are treats for purchase and tickets are only $15. No online purchase option, did not check on the option to pay with card. Wait is inside, so no worries about rain. However, I can see the line potentially leading outside as this attraction becomes more popular. There are treats available for purchase and 4 large screens playing horror flick scenes while you wait. No ghouls wandering the lines while we were waiting, but not really a good area for ghouls to wander. By far the best part of this attraction is the stellar performance of the actors. They were numerous and stayed in character the entire time, performance was far above and beyond my expectations. Scenes felt genuine and props and effects were appropriately placed. We were lost and stuck a few times with no "obvious" escapes, I would love to go back and see if I can remember how to escape. The attraction intentionally makes you feel trapped. 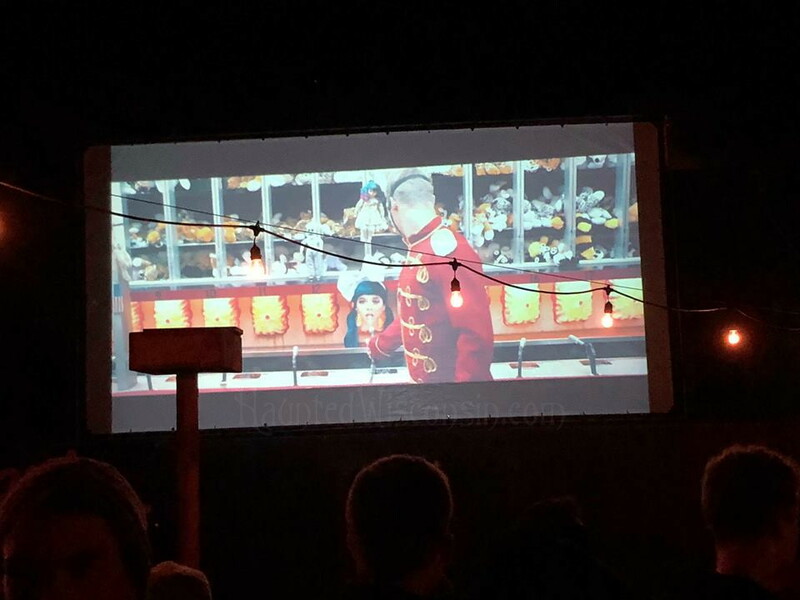 Props were unique and very unexpected, there were a few "shocking" moments with a possible visit from Annabelle herself? I would compare it to a magic trick, the goal is to keep you guessing and if you can not figure it out (which we could not) they have done it right. I expected this to be brief, the barn is 1600 sq ft, but it was much longer than expected. It took us just over 20 minutes to escape. The wait time is longer, but I would rather wait longer than be crowded with other groups. They send you in with just your group and clearly wait until all other groups have advanced so there is no running into others and no spoilers. There were several in this haunted attraction, but the most memorable personally is walking carefully only to have the lights flash back on and someone is literally right in your face!! Where did they come from? There is something new in Brown County and it has me just as excited as a Green Bay Packers win! 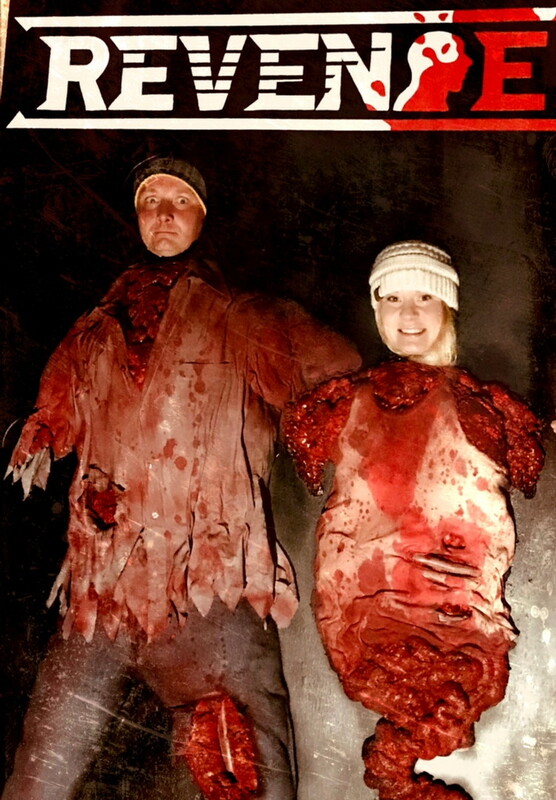 Revenge, a haunted attraction located not far from Green Bay, took the haunt experience all the way to the end zone. The setting is an amazing 1903 barn that is used for events (weddings, corporate parties) when the ghouls are away. It took about 30 seconds in and I could feel my heart starting to race. I was scared … as hard as that is to admit, Revenge truly “scared” me and those in my group. If you are like me and say you do not “scare” easily, this haunt is for you. This haunt is not recommended for those looking for just “fun”, it is intense! Actors inside were plenty, brilliant and we had no down time to catch our breath. Every inch of this space was used and it took a surprising 20 minutes at a very fast paced to escape. Revenge has definitely earned its spot as a favorite in my book! 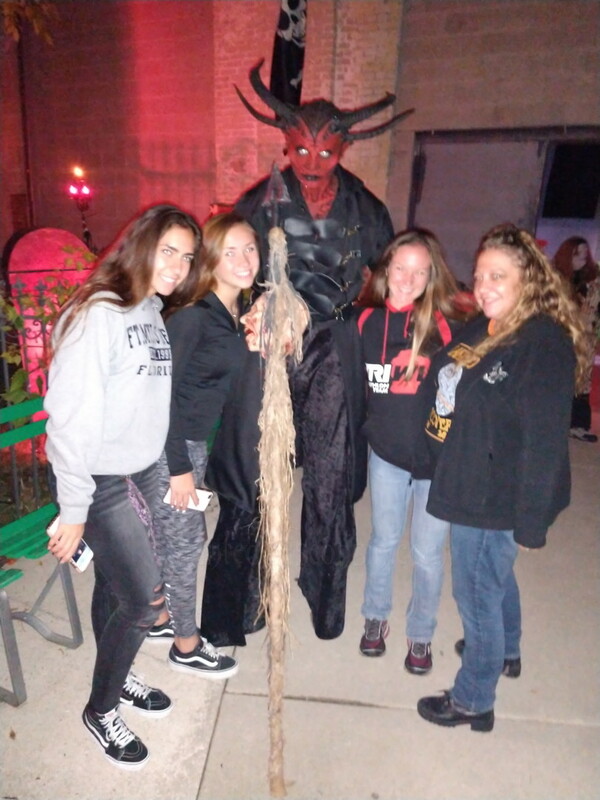 by wm (Senior Review Crew Member) after attending on Sunday, October 14, 2018 at about 10:30 p.m.
My all-time favorite haunted house was always the Splatter Haus when it was located in Two Rivers. No other haunts could touch it! They had their scares down to a science and you definitely got your money’s worth. Since then, they lost their lease at that location and moved to Sheboygan. In the years following I heard stories about how the haunt was now located inside semi-trailers, how it was much shorter, and how everyone wished for the Splatter Haus glory years. 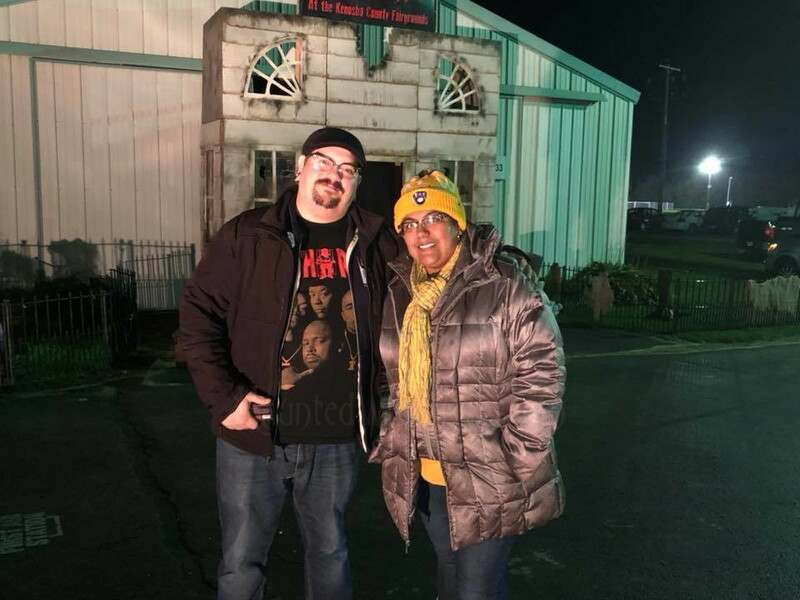 I never did attend the new location for several reasons: The biggest being that it was hard to justify an hour drive for a haunt that lasted under 10 minutes. But another was that a part of me wanted to remember the Splatter Haus as it was: A top-notch haunted house that will literally scare the sh*t out of you. But then I read that this year was their last year. After seeing that, I had to attend one more time. It was a clear but chilly night. Standing in line was nice, like the calm before the storm. It’s amazing how you can go from being underwhelmed while waiting in line to a sensory overload as soon as you walk through the door. You are instantly transported from a Sheboygan parking lot into your worst nightmare. Music is blaring and it’s pitch black at first. From the first scare on, your adrenaline kicks in and your body launches into a ‘fight or flight’ type of mentality. There is no wasted space in the Splatter Haus Hell World. You go from one room to another, and each room packs a good scare. They are still spot on with their scares, and they have always been the master of the ‘distraction scare’. These are some major scares that still get my heart pumping as I type this! You walk into a small 8 seat bus and take a seat. With monitors all around you, you are again suddenly transported. This time you’re in the middle of a zombie attack! They come from everywhere, hell bent on getting you. You can hear them, see them, and even the bus gets in on the action as it feels you’re moving. I won’t give anything away, but it was a very cool and unique experience! It was hard to find the Splatter Haus Hell World, and that was with help from my GPS. Once there, I still wasn’t quite sure I was at the correct location. There were no signs leading up to it, and it’s in a very unassuming in a huge parking lot for a local hockey center. There was a small line, maybe 15 people. A chain-link fence surrounds both the wait line and the haunt with metal music blaring. There were no characters walking around outside the haunt, so the only entertainment was watching the trailer that had different metal bands and the Hell World logo projected on it. The groups that went inside were small, but the line moved fairly quick. Splatter Haus Hell World combines live actors with triggered scares. It's a perfect blend, and they are experts in this field. No actor missed his mark. Many scenes were recycled from previous years, which was bittersweet. I would rather see new sets/scares. But knowing this was the last year, it was almost like saying goodbye to some old friends. Hello, Mr Pig Butcher… we meet again! It took about 6 minutes to get through the entire haunt. They only let small groups of 2 to 4 people in at a time, and they wait until a group is through before sending in the next group. No issues of bumping into other groups. As soon as I saw the butcher shop, I knew the pig was waiting until the perfect moment to make an appearance! All in all, I’m glad I went to say goodbye to the Splatter Haus Hell World. Yes, it’s an extremely short haunt. But if I compare the number of scares to a haunt that would last 20 minutes, there are probably MORE scares here. I hope that someday, the Splatter Haus will make a glorious comeback in a big warehouse. Until then, I have my nightmares to remind me of what once was. 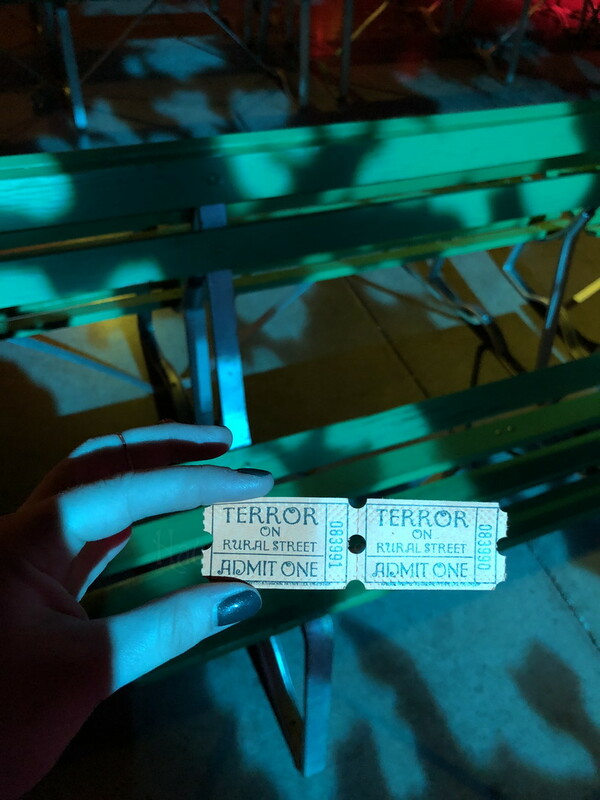 by PaigeBerrier (Senior Review Crew Member) after attending on Friday, October 12, 2018 at about 8:30 p.m.
Dominion of Terror is absolutely one of my favorite haunts, and I was blown away with this year’s house! Located in a 3-story warehouse in Sheboygan, DOT operates as a non-profit, run and funded by the Sheboygan Jaycees and dozens of volunteers. Each year, they create an entirely new and terrifying haunt, and of course this year was no exception! We arrived around 8:30PM and elected to buy the speed pass. We waited only moments to enter and while inside, we never encountered another group! 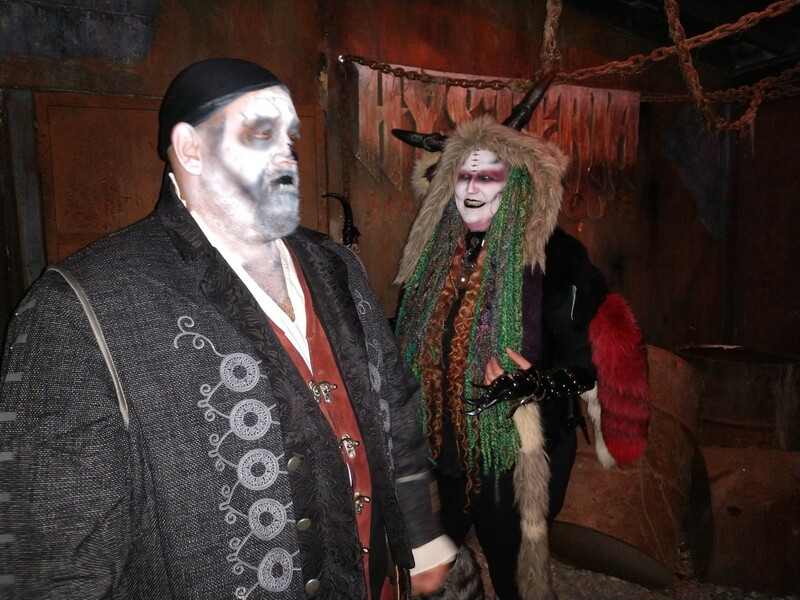 Seriously prepare to be scared as you enter into this haunt, which is full of creative and memorable scenes. I particularly enjoyed a few medical scares throughout the haunt, including a padded room and a true fear – a dentist. DOT is full of talented actors, who utilize jump scares and misdirection to leave you constantly wondering when or even IF they will make a move. The monsters in this haunt use their props and intricate scenes to their fullest, taking advantage of any opportunity to lead you down a dark hallway, or follow a creature into the darkness. With amazing scares, impeccable timing, and a super creative team, DOT continues to impress another year. Luckily I don’t have to wait too long until I can go again – DOT puts on an encore in April every year! DOT is very easy to find via Google maps; with lots of signage on their building and lights. With the speed pass, we largely bypassed most of the line, but lots of actors were weaving themselves throughout the crowd. The actors in DOT have amazing restraint! They know when to jump out, when to hold back, and when to use misdirection to their advantage. There is a huge variety of people and costumes as well! Very varied, and lots that were very creative, using elements you wouldn’t normally think of as traditionally scary. These sets are also really detailed! They use mazes, inflatables, and light to disorient and confuse as well. Around 30 minutes, and over 3 floors. Awesome, especially as speed pass people – we hardly waited, and never encountered another group during our time in the haunt. Two words – wall hands. Dominion of Terror has outdone themselves again with a creative and detailed, full of terrifying scenes that will linger with you long after leaving. With a completely new layout for 2018, DOT utilizes their entire 3-story building for a long, winding, disorienting haunt. This haunt is an absolute must visit for the Halloween season! by Captn_DeathSchlager (Senior Review Crew Member) after attending on Friday, October 12, 2018 at about 6:30 p.m. If you're reading this review you fall into one of three categories. (1) Never been to a haunted house before; (2) Been to a haunted house but not Abandoned; (3) you've toured Abandoned in that past. For those of you in Category (1)...if you or someone in your group is under the age of 10 you may want to think twice before attending this haunt. For the first time in all my haunt going years I actually witnessed a dad and son walking back out the haunt ENTRANCE with the child in frightful tears. (...I would imagine this does happen periodically but this was the first time I was actually walking in as someone was walking out...what are the chances!?!) 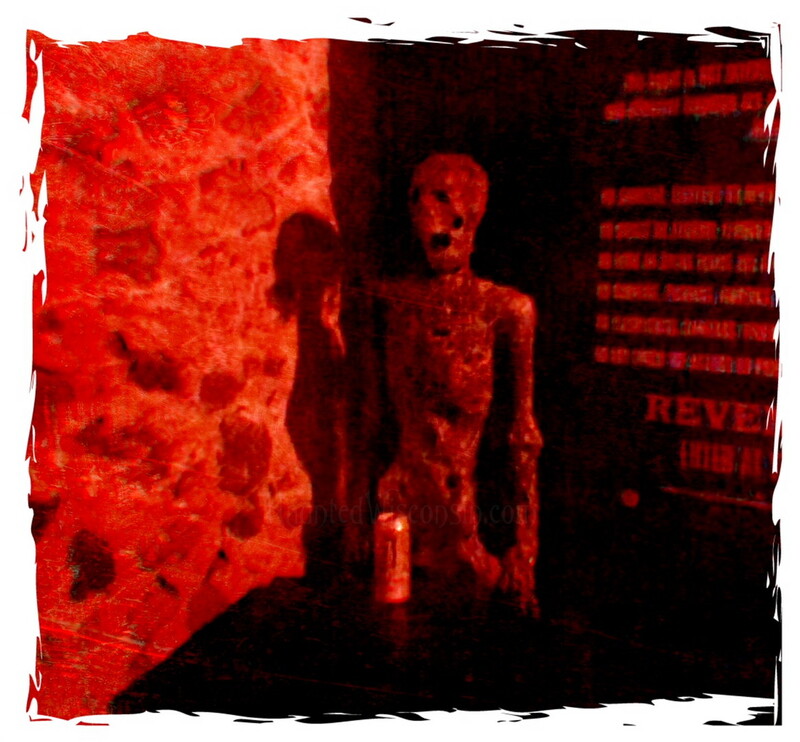 This haunt should not be taken lightly as you won't find a scarier haunt in Wisconsin! For those of you in Categories (1) and (2), if you're capable of being scared (i.e. you're not 100% fearless) this haunt WILL scare you. 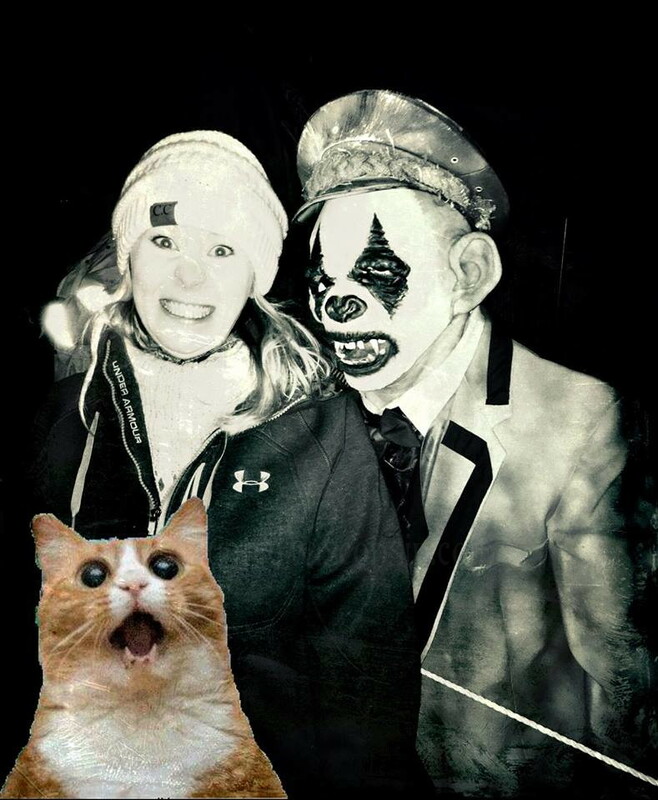 If this haunt doesn't scare you, or at least make you jump on several occasions, it's very unlikely any haunt in Wisconsin will do that for you either. If you're a gore goer or techno-scare junky like me Abandoned will NOT disappoint you. For those of you in Category (3), Abandoned’s scare tactics have not changed in 2018. (i.e. walk-through style in your face scares with brief encounters with ghouls) You'll be pleasantly surprised with how many new techno-scares await in Hysteria as well as a few new twists in Ambush. 2018 was my 3rd consecutive year visiting Abandoned and my most favorite edition yet! * You may have read that Abandoned is comprised of 3 haunts (...named Hysteria, Ambush and Stalker) In my opinion, there are actually only 2 haunts here. The best way to describe Hysteria and Ambush is one haunt with an intermission in the middle. You can't pay for each of these haunts separately like you can Abandoned's Big Brother Haunt Burial Chamber. NOR, are you forced to get back in a long line after you complete Hysteria. While you may notice a slightly different theme between the two sections of the haunt the scare style remains the same. * This haunt does NOT offer numbered tickets. To enter the haunts, non-FASTPASS haunt goers must wait in a very slow moving line that's exposed to the elements. (The wait line entertainment is the best I've experienced though!) If you'd rather have your toe nails slowly ripped off than stand in a slow moving line I definitely recommend purchasing the FASTPASS! Construction has made this haunt less visible from I-94. The frontage road along I-94 is gone but the road directly east of Abandoned is freshly paved and will take you to the haunt entrance. Look for the bright blue flashing light that sits alongside the road at the parking lot entrance. The parking attendants will guide you in from there. Come dressed for the elements as portions of the wait lines for Ambush, Hysteria and Stalker are outside. As you near the entrance to Ambush and Hysteria the waiting lines are covered. 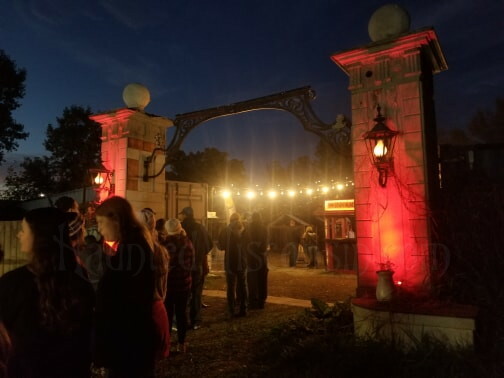 A courtyard with ginormous movie screen, bumpin sound system and a concession stand along with a few costumed actors help to build your anticipation while you wait to enter the haunts. Be sure to arrive early and check out the parade of Ghouls which takes place nightly at 6:45pm. If you don’t like long lines and lengthy waits be sure to purchase a FASTPASS to take advantage of the shorter VIP lines. The actors were very skilled at providing quick and unexpected scares. Only a few actors performed on sets that provided an opportunity for a theatrical display and in these situations they did not disappoint! I particularly enjoyed the introductory performances for Hysteria and Stalker. Brilliant use of shadows and dimly lit hallways/rooms to maximize scare and creep factor. Set designs were very effective in immersing you into the theme of the haunt. Some (but not all) of the sets were among the most elaborately designed/decorated that I've experienced. All set designs were definitely better than the average haunt. Enjoyed some of the unique concepts and special effects. Trick floors, vibrating walls, tripped out laser lights….there’s a little bit of everything to keep you on your toes. Took my group 11 minutes to complete Hysteria and 18 minutes to complete Ambush for a total time of 29 minutes. (...not including the brief intermission between Hysteria and Ambush.) Stalker took 25 minutes to complete. Waiting lines for both Ambush/Hysteria and Stalker were clearly marked off along with the separate FASTPASS lines. Several great scares...I particularly enjoyed the reoccurring 'vortex' passages that connected the themes found in Hysteria. by BrittanyAnnBula (Junior Review Crew Member) after attending on Sunday, October 14, 2018 at about 7 p.m. It has been about 4 years since I have been to Green Bay Fear and now after going this year again I feel like I have missed out on a great haunted attraction over the years. The acting and the performance of the actors is amazing. What is even more amazing none of the actors are paid; they are all volunteers. All the money they raise goes into redoing the attraction (small portion) and the local children's hospital. When you enter you are able to choose which haunt you would like to attend first: Shawano Manor, Twisted Trail or Mr. Jingles Fun House. This is unique about Green Bay Fear and I believe this is why you never really wait in line to long. You are also able to take the attraction at your own pace. There is so much to do here you won't even know where to start. There is entertainment on the main stage, a fire pit, a gift store, and a whole lot of amazing sounding food at the food carts. You really can spend all night here if you choose. Not knowing what the weather was going to turn out being and the drive home we opted for the fast pass since when we arrived the parking lot was full and seemed intimidating. Once we got inside the lines were short and didn't really have the need for the fast pass, which I feel is in big part to the options to take the attractions at your own pace and choose what one to do on your time. We choose the Twisted Trail first. As you enter the trail your senses are overwhelmed with noise, characters and action. The trail is dimly lit and you really can't see to far ahead. The suspense is great. As you make your way through the trail you are greeted by characters and noise in all areas. The trail had a unique theme throughout it but it kept you guessing around every turn. The trail took about 15 minutes to finish. After the Twisted Trail we went to visit the Shawno Manor. As you enter the Manor you are given a story about what is happening on Earth and why the Fearstein family is so mad. This really set the scene for the whole haunted house. The house is put together so well with no detail left untouched. The acting that was going on you would believe that these were paid actors. It was amazing! The theme was throughout the entire house. This is what most attractions fail to accomplish. Green Bay Fear topped the charts in this area. They think outside the box at this attraction and they don't have the basic haunted house rooms. You never know what to expect in an area. The characters are so fast and flexible they seem like they are from another planet! The last but not least was Mr. Jingles Funhouse. This was my favorite part of the night. Even though it was short it was well crafted and the suspense and scare that was in this short haunt was amazing. The lights and smoke make it impossible to find your way out let alone know where the next carnie or freak was. It was a bit disappointing when we existed since it was so short, but so good in a short period of time. I hope that they make this part of the haunt longer and keep the theme throughout. There is huge potential for this haunt. Overall, I would recommend this haunt to anyone who wants to see some killer performances with some pretty amazing sets! The time and dedication this crew does for this attraction is top notch! There are lights and parking attendants directing you. Very easy to see while coming down the road. They have bands some nights and DJ on others. They also have a fire pit and food.They have many characters throughout running and chasing innocent bystanders. Makes for great people watching; if you are into that! No details are left out, lights sets and and scenes are great! We were here for about an hour with the Fast Pass. There really wasn't ever to bad of lines since you are able to take the haunts at your own pace; that helps out a lot. I would highly recommend attending this haunt no mater who you are. This is one of the best haunts! by dubstyle_2k (Senior Review Crew Member) after attending on Friday, October 12, 2018 at about 9 p.m. The most boring part of Abandoned Haunted House Complex, and my time as a member of this review crew is having to write year after year that Abandoned Haunted House Complex is THE BEST haunt in the area, and I'm including all of the Chicagoland area as well. I'm going to be honest with all of you, Abandoned Haunted House Complex is still the best, and might put more effort into making their haunt the best, or possibly they are just that good that they have to put very little effort into it, I don't know, I just know I never leave there feeling disappointed or even a little let down. The place is beginning to end sensory overload, combined with top of the line props, and a cast that plays it so cool, they deserve all of the credit they get. I will refrain from going too in-depth, I really encourage you all to check this place out and experience it for yourself. Abandoned Haunted House Complex is split into 3 separate haunts, just like the last few seasons, Ambush, Hysteria, and Stalker. They also have a Shoot the Freak option for $5, but I've never checked that out. It seems to be just shooting a trash talker with possibly paintballs, but I haven't checked it out that closely. 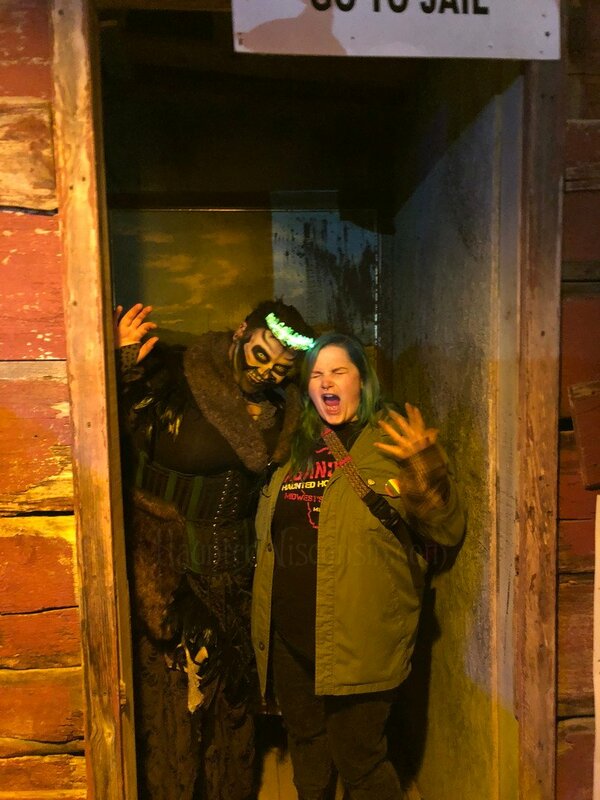 Ambush and Hysteria are both in the style of your normal haunt, both have multiple themes going on, and both are done as good, if not better than any other haunt in the area. These two haunts run back to back, one leading into each other. Suffice to say, going through both of these haunts you will run the gamut of what every haunt has to offer, all styles are represented. Please note, I say these run into each other, it makes for a lengthy experience. Even if you only attend for these two haunts, expect to spend an 45+ minutes inside the two haunts. The third of the haunts at Abandoned Haunted House Complex is Stalker. Stalker was introduced a few years ago, and in my opinion has improved by leaps and bounds this season. Stalker takes you through a combination of haunted cornfields, and staged indoor areas that are very well done. There were significantly less actors in the outside areas, but I think that was done by design, walking through the corn itself is already kind of creepy, so the occasional actor jumping out makes you more on guard; when is it going to happen?! The areas where you go inside are all different themes, but all pretty great, with more top of the line actors. I mentioned that writing reviews for Abandoned Haunted House Complex is becoming boring because they are always the best, I did however experience this with haunt with a dear friend of mine, one of my oldest friends, and she gave me a whole new appreciation for Abandoned Haunted House Complex! Let's just say that she's the jumpy, screaming type... It was a blast seeing someone experience it on that level. This being my 10th season reviewing (oh wow! ), I attend these haunts and enjoy the pageantry and technical stuff more than I get spooked by them. I love it all, but I don't do much jumping, call it desensitization, or whatever, I enjoy these haunts for how much work they put into them. She made me realize just how scary this haunt really is. She told me several times throughout the night that it was indeed terrifying, I believe her, she jumped and screamed enough to prove it! We also met a father and his teenage daughter who drove up from Illinois. I talked with him for a while and he had nothing but praises for Abandoned. He recommended some south of the border haunts to me, but assured me that this was one of the best ones he had ever attended. Please do yourself a favor, experience Abandoned Haunted House Complex for yourself, you will not be disappointed! Okay, so if you're from the Kenosha/Racine area, you know getting to Abandoned Haunted House Complex is going to be a headache. If you are not, just know the Abandoned is located right off of the I94... an interstate that is completely tore up and nothing short of a mess. To access Abandoned you have to enter via the frontage road, which is NOW located behind the haunt. They have it very well lit and not hard to find, however finding an exit to get to said frontage road might prove difficult. I came from the Kenosha area, so I came up highway 11 in Racine, and it met up easily with the frontage road, I can't speak for how it is coming from the north. Abandoned always has searchlights so it's easy to find, just know you will have to jump through some hoops! The wait area of Abandoned Haunted House Complex is pretty great. There are roaming actors interacting with everyone, and they still have the big screen where they show videos. Personally I wish they'd show more horror related videos and less viral videos, but it's whatever. They also have a concession stand made to look like a 50s style diner. 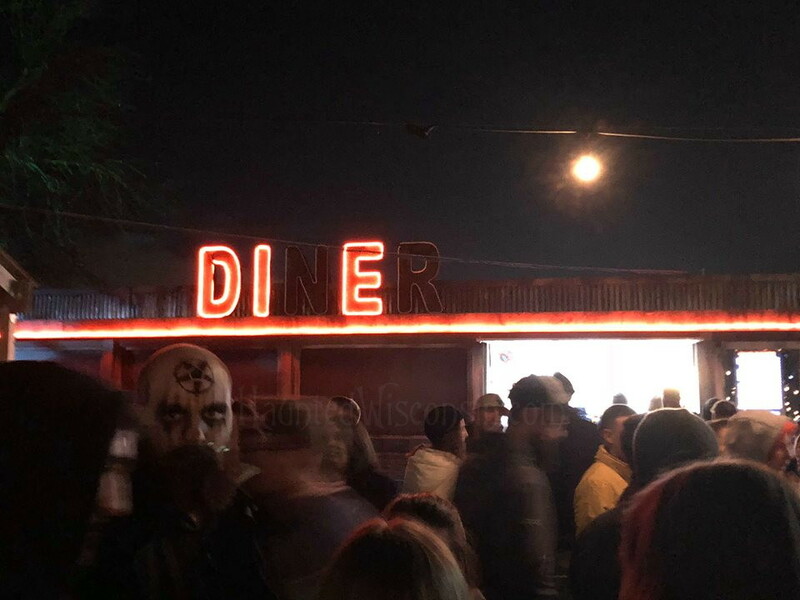 You'll love this as the neon lights go out on the N and R in the word DINER changes to say DI E ! The best of the best! I know a lot of haunts hire high school kids to work, and a lot of them are very good at what they do. Abandon's actors are as good as it gets, and if they are high schoolers, my hat goes off to each and every one of them. Regardless of who these actors are, they love what they do, they know how to unnerve you, and they are all excellent! The best in the business. I mentioned my friend I attended with. Well, she's a funeral director, and at one point while walking through a scene involving an embalming, she turned to me and told me that they had an authentic machine they use to embalm bodies! That's how good the props at Abandoned Haunted House Complex are, they are real embalming equipment good! Expect to spend a good 2 hours there if you do all three haunts. No issues, there are parking control, and employees all over there to help out. Hard to say, seeing my good friend jump and scream the whole time is what I really took away from this! It's great from start to finish! I'll say it again, Abandoned Haunted House Complex is the best haunt in the area. If you haven't been, it's a must, if you have, as I have every season they have been open, go again! It's that good! by wm (Senior Review Crew Member) after attending on Friday, October 5, 2018 at about 9:30 p.m. This was the opening night in the second year for Revenge, and the first year that I’ve attended it. It’s always exciting going to a new haunt for the first time! Located in Sobieski, it feels like you’re in the middle of nowhere. Don’t blink or you will miss it… it comes up fast! This also is the first time this haunt has been reviewed on Haunted Wisconsin! I’ve been to haunts in the past that have been in barns, and for the most part they are short and lackluster. Don’t let the fact that Revenge is in a barn fool you. This barn is HUGE, and the folks that put this on are NOT messing around. This is a dark maze in a very old barn. Throw in some creepy sets, eerie sound effects, creatures and you have Revenge. There were several times it felt like we were at a dead end. Then the dread starts setting in that you are stuck in a dark maze with things all around you! There are some nice signs, but it's on a county road so it comes up fast. I love that it's not too far out but it FEELS like you're far away. Nobody around to hear your screams! 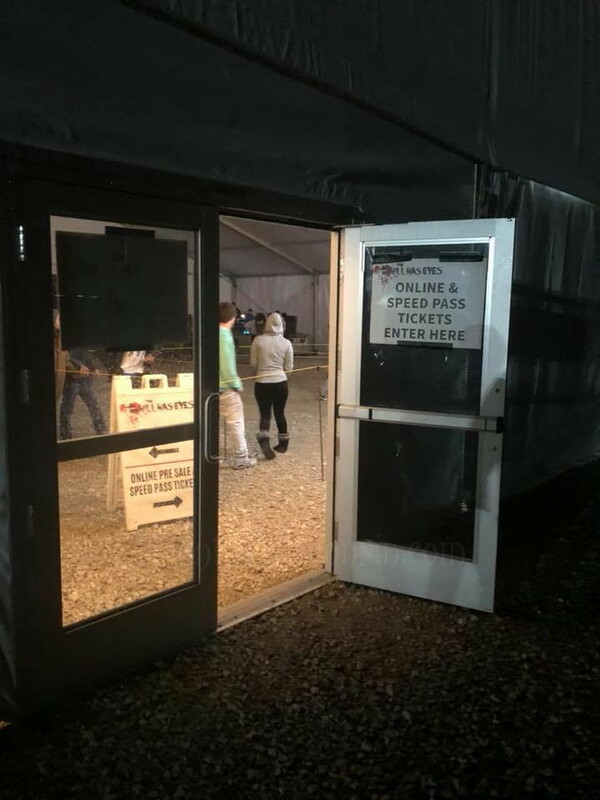 There is plenty of parking, and a small wait area within the barn before you go into the haunt. While you wait, there’s different graphic horror scenes playing and a few creatures that wander around. There’s also a nice concessions area. And hey, they have IN-DOOR bathrooms! Some actors were late on scares and others were dead on. We walked into one room to find one of the actors sitting down trying to put on a mask. At first I thought it was part of the skit, but then I realized that we just caught the actor unprepared. Since this was opening night for them, here’s hoping that as the season goes on things really gel and the scares are consistent throughout the experience. The actors that were on their game had us jumping! To me, this haunt's strength is their creativity and their use of lighting. They did an amazing job throughout the haunt of using light to their advantage. One minute the light is on and you’re in a room by yourself. Then the light might flicker off and when it’s back on, you’re face to face with a nightmare! We went through the entire haunt in about 15 minutes. They did a great job with crowd control. They let very small groups go in at a time, which I very much appreciate! There's nothing worse than being loaded in like cattle and only a few get the scare while others just shuffle through. We did not bump into other groups, but we could hear them. In my book, that adds anticipation! There was one room that used a strobe like effect and white paper curtains throughout the room. The creature lurking in there got me so good, I head-butted the person behind me. Ouch! A good location, great building, and some very creative people! A solid haunt! Looking forward to seeing what the future holds in store for Revenge! by wm (Senior Review Crew Member) after attending on Friday, October 5, 2018 at about 8 p.m.
Years ago I reviewed Zombus, and loved every minute of it. I wanted to review them again to see what has changed and to see if they are as good as they were previously? As before, there are many different things to experience at Zombus, so much so that the title is really deceiving and doesn’t shed light on all the great things here. 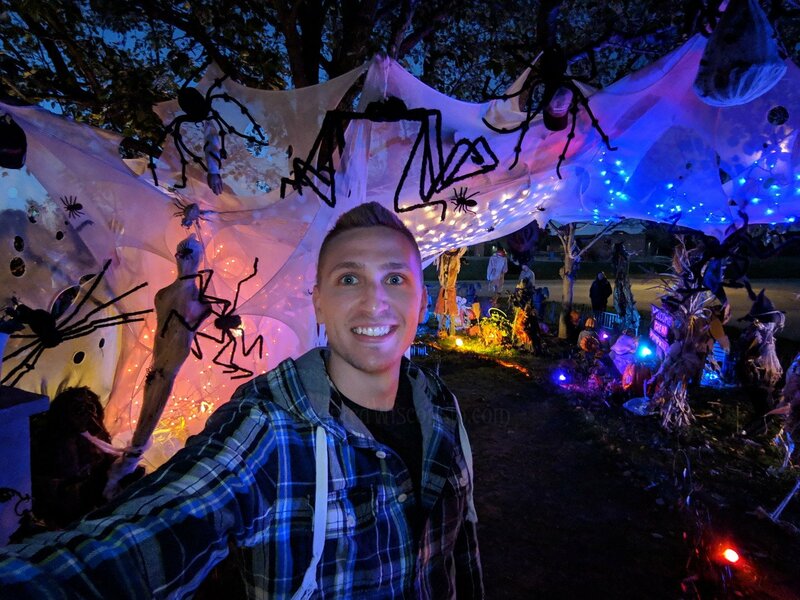 Besides the bus ride where you get to shoot zombies, there’s the Haunted House Trail, the Haunted Laser Tag, and a cool Zombie Carnival under a tent! There are different price point depending on what you want to do. The best value is getting all three big events for $24! The weather was not playing nice and was misting throughout the opening night, so attendance was light. But trust me, this is one haunt you do NOT want to miss! Zombie Carnival: Something new this year is the carnival! There are several carnival games there with a zombie theme that are a lot of fun. You can purchase tickets to play the different games: Feed The Gargoyles, Zombie Brain Smash, Attacking Zombie Ring Toss, and Angry Raven! Depending on how well you play, you can trade up for different prizes! And if that’s not your speed, then go crawl up on the bull and see how long you can stay on! 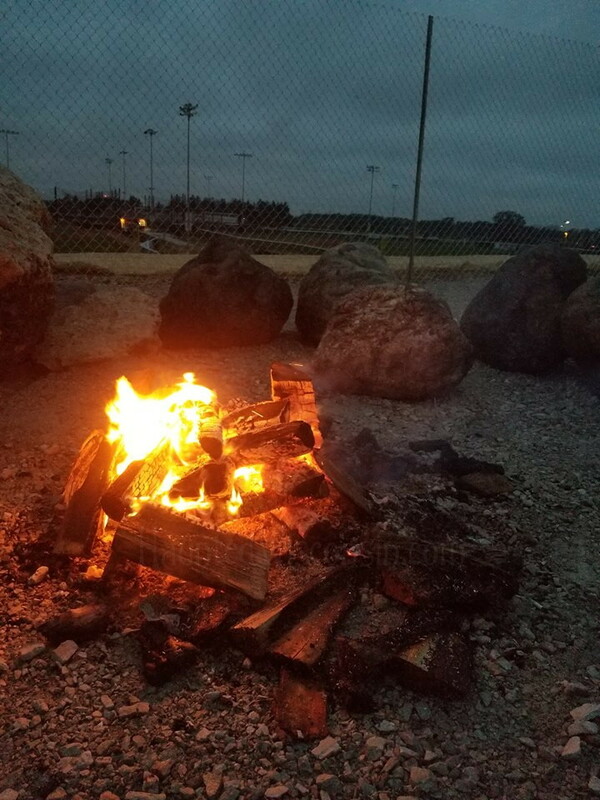 There’s also a nice bonfire and waiting area. This haunt again has everything and there really is something for everyone here. This is only about 10 minutes north from Green Bay so don’t miss it! Very easy to find! Right off Hwy 41, on an access road 10 miles north of Green Bay. You can't miss it. When I attended, there were not very many people attending so there was very little wait time. But the wait areas are great with games, a bonfire, snacks, etc.. The actors did great in both the Haunted House Trail and the Zombus. This is one area where they really took things to the next level. They have achieved the perfect combination of live actors and animatronics to maximum effect! And the level of detail is amazing! See above summery for length of each separate event. You can easily spend all night here! There was no crowd when I attended due to the weather, but it looks like they have plenty of space to handle large groups. When I attended years ago it was over an hour wait, and they handled the crowds fine! A highlight for me was on the Haunted House Trail. There was what I can only call 'the swamp’. I don’t believe I’ve ever seen anything like it! It’s not water, but it sure does look like it! Kudos to the staff and creators, the whole experience is amazing! My only criticism is to start promoting the other aspects of all your work! The Zombus is great and very unique for the area, but your other creations are just as great! 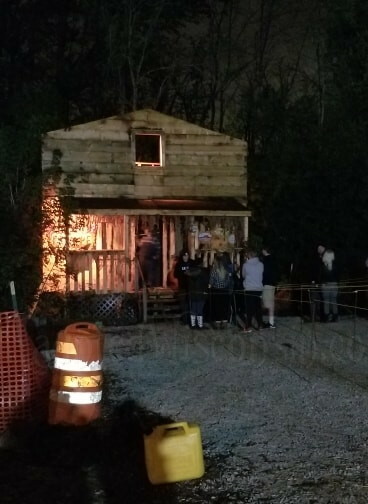 If you have not attended this haunt yet, what's your excuse? This should be at the top of your 'must attend' attractions! by PaigeBerrier (Senior Review Crew Member) after attending on Saturday, October 6, 2018 at about 8 p.m. This was my fourth year visiting Terror on Rural Street, and it is so amazing to see them continue to top their own creations year after year! 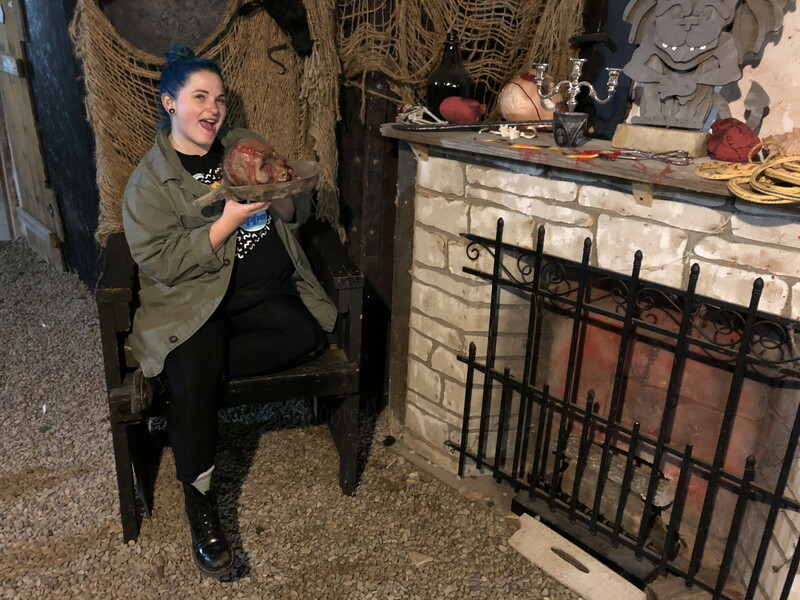 TORS is an amazingly intricate, nonprofit haunt that boasts a lovely waiting area, tons of parking, shockingly cheap entry and room after room of true terror! A truly fantastic haunt! 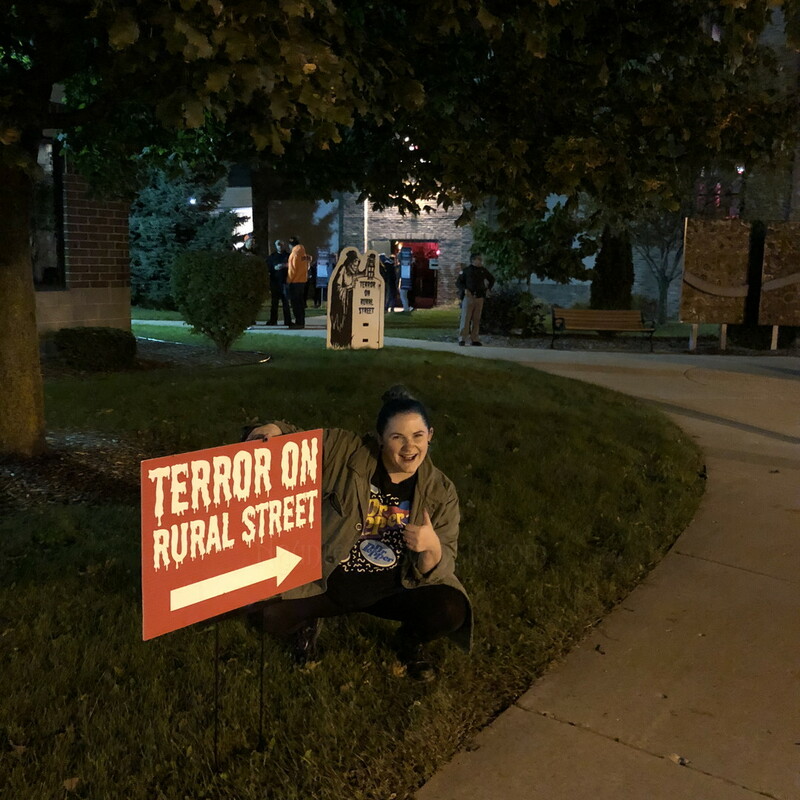 Terror on Rural Street begins in a small town scene, and you are immediately transported in the haunted world, this year, with a confusing maze. 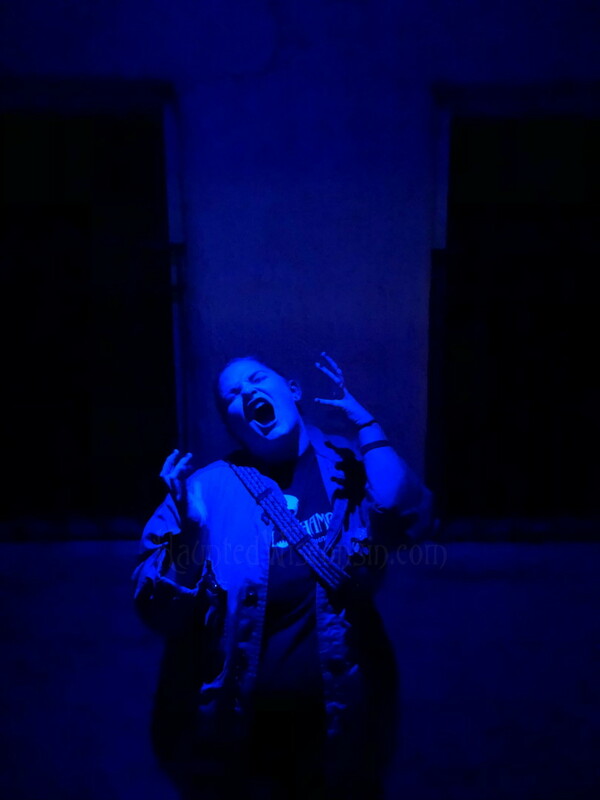 While I love the disorienting aspects of mazes, I’ve found they are often hard to control with timing, and unfortunately this was a (minor) issue that followed us throughout the haunt. However, every actor was amazing and “got us” so many times, and I love seeing the new sets and ideas they come up with year after year. There is horror in many veins here – clowns, darkness, prison, dolls – you name it, they’ll find a way to scare you! TORS is a unique, creative haunt with a lot of passion and an intricate twisting halls that always leave me wanting more! If you know where to go, it’s very easy to get to – you can type it right into google maps. They have an awesome light marquee, but they keep it closer to their parking lot, which is helpful but could be a little more so if it was placed a little closer to the main road. Very good – I really enjoy the wait area here. It is covered with ample seating! This year they had several warm snacks (we had a pretzel) and drinks available, including jello syringe shots and some alcoholic beverages. They also had several actors walking around in this area; I always love the lady with her shopping cart full of creepy toys. We enjoyed a LOT of good jump scares at this haunt. I feel like the actors at TORS are very committed to their roles and really embody the characters with all their dialogue and even the type of moments they employ. There were a few issues with timing in a few of the scenes we encountered, but overall the haunt has a great variety of rooms, including a jail, some creepy dolls, and several new mazes this year. We particularly liked one that implemented strobe lights. There was also a room that featured moving walls, which was really unique! At least 20 minutes. We waited only for a few minutes to go inside, but as I said, it was a very enjoyable wait. They have a very good system here of calling up groups by ticket numbers, and don’t seem to mind if people get out of order as they enjoy snacks. It was very well organized! TORS is home to a car that scares us every single year! 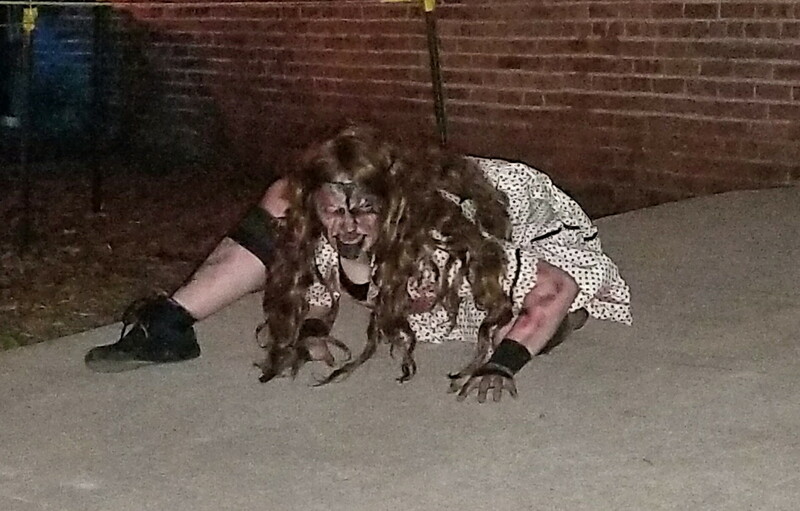 Terror on Rural Street is a must see haunt for me year after year, as they are always exploring new ideas creatively and the actors are amazing. You definitely will get scared! You seriously cannot beat the price, location, and general fun of this haunt! by PaigeBerrier (Senior Review Crew Member) after attending on Tuesday, October 9, 2018 at about 7 p.m.
Dwelling of Despair is a great haunt, beginning with a nerve-wracking walk full of scares through the Forest of Fear, and punctuated with tiny, twisting rooms designed to disorient the attendee. I really enjoy the multiple location aspect of this haunt – there are a lot of different scenes that involve being in all sorts of different rooms, including a big metal overpass, the creepy forest, and a final maze that will leave you confused and frustrated. The actors are varied and focus on the characters they are creating, and as a nonprofit, they also use child actors for an extreme creepy effect! They also do a wonderful job with their crowd control and have a nice covered waiting area for their guests! Very visible from the road, with lots of lit up signs leading you to the haunt. It’s also very easy to find through Google maps! They had a few actors around, but we enjoyed the wait area, which included an awesome photo op spot, snacks and drinks, and two covered bench areas for large crowds in the rain. We really enjoyed the children actors! Another amazing actor was the fellow in the metal room – his lack of speaking was extremely unnerving and he utilized his prop in a very scary way. Some of the rooms had a clearer storyline than others, but overall the actors are committed to their characters and had a variety in what types of creeps they were representing. Extremely varied with the length of this haunt and the indoor/outdoor aspect. We loved the claustrophobic quarters, one instance with a glass floor, and the beginning of the haunt in the forest alone – really built anticipation! Nice and long, at least 20 – 30 minutes. Awesome, as noted in their wait area. Lots of staff and security on hand and a very clear system of who was next. Walking through the forest, or the final maze! Dwelling of Despair is a haunt with a little bit of everything – attendees with experience a creepy walk through the woods, claustrophobia, and the frantic feeling of being trapped in a maze with seemingly no end… but for those who escape, you’ll come back year after year! Awesome haunt with lots of variety! by Captn_DeathSchlager (Senior Review Crew Member) after attending on Saturday, October 6, 2018 at about 8 p.m.
A thick fog began to settle in and a fine mist filled the air as I arrived at Terror on Rural Street. Ahhh, what an eerily perfect way to set the tone as I kicked off my 2018 haunting season! 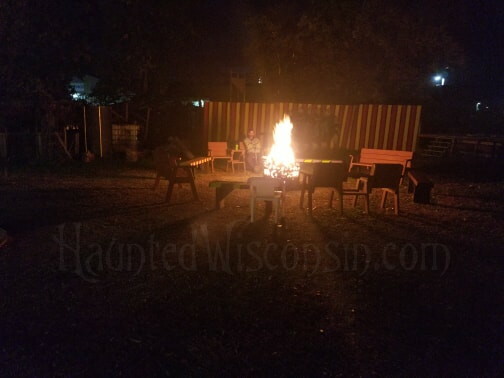 While some may argue that only a duck could enjoy our recent Wisconsin weather, you need not worry about the weather at this particular haunt as Terror on Rural Street comes stocked with several creature feature treats to combat Mother Nature’s unavoidable tricks. 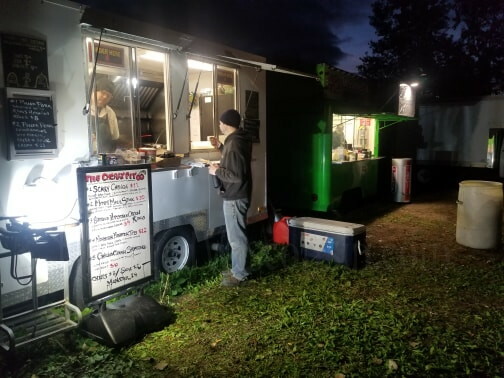 Upon arriving, this haunt greeted my tour group of 3 adults and 2 teenagers with a well-lit, paved and spacious parking lot along with a patrolling ghoul which left little doubt that we were in the right place. (No trudging through muddy dim lit fields as you approach the ticket window here.) 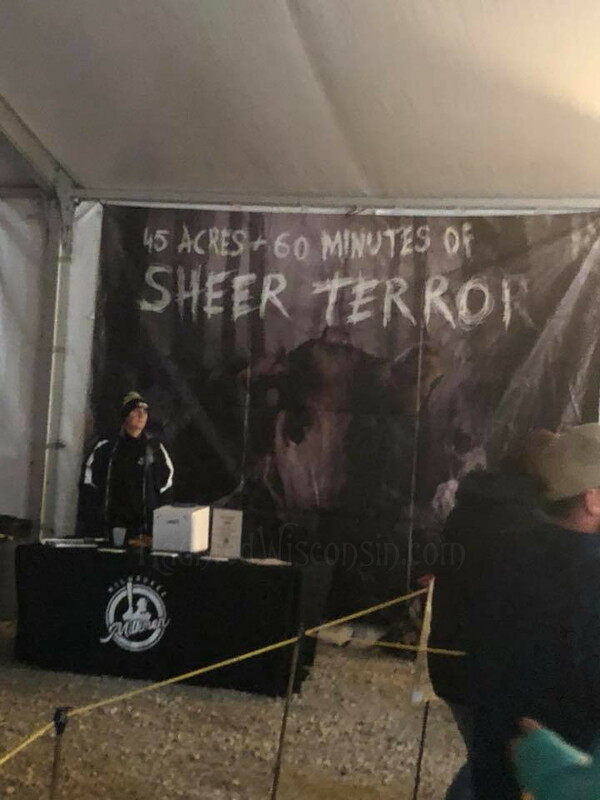 As an added bonus we were delighted to find that Terror on Rural Street has a heated indoor waiting area with a fully stocked concession stand complete with food, snacks, beverages, beer and Jello-shots. Another nice treat offered by this haunt is the numbering tickets which allow you to wander about as you wait for your tour to begin…no need to stand in a dreadfully long line and count spiders on the wall as you wait here! If you love taking selfies with your brothers and sisters you’ll certainly enjoy the photogenic ghouls wandering about the waiting area who are just dying to photo bomb your shot. 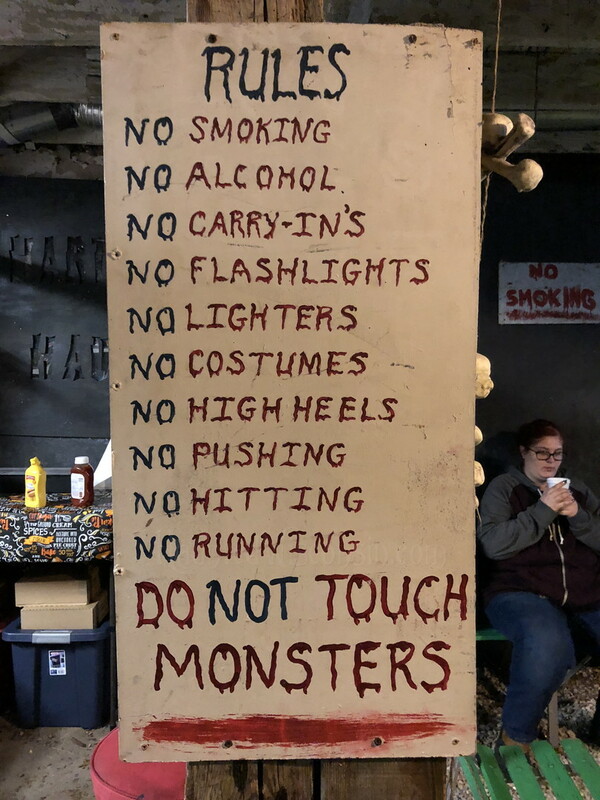 This entire haunt is indoor, including the final staging area before you actually enter the haunt….there’s no need to endure that wrath of Mother Nature as she tests your Halloween Spirit. SPACIOUS ACCOMODATIONS: My tour group of 5 consisted of 3 adults and 2 teenagers (…all experienced haunt goers…. ), with the 2 teenagers attending Terror on Rural Street for the first time and 1 adult who has yet to miss a season of Terror on Rural Street. If you have a personal pet peeve as I do of being placed into an over sized tour group and crammed into small rooms, put your mind at ease. Terror at Rural Street’s mystic maze of mind bending sets and corridors easily accommodated our group of 5. CINEMA QUALITY SETS: This haunt features several Cinema quality sets, many of which are pimped out with a dedicated sound system and special effects you won't find any place else. 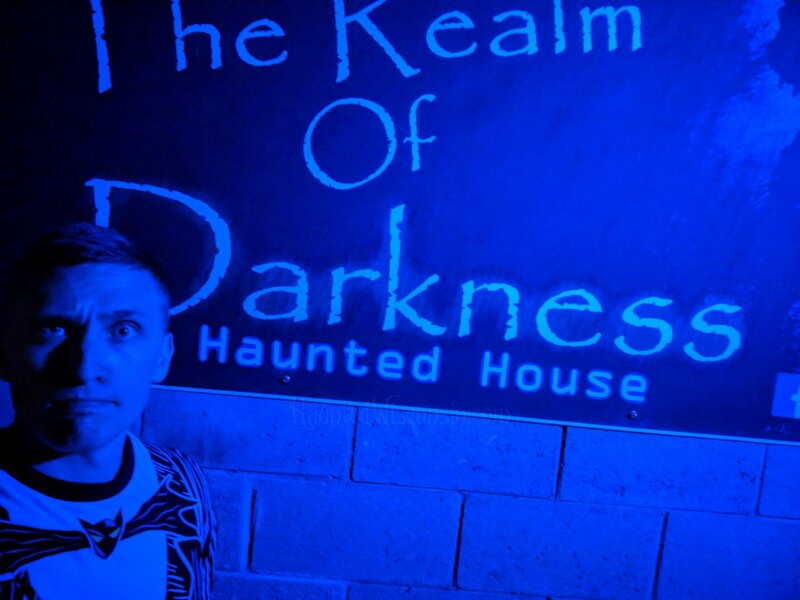 Portions of this haunt are an interactive style haunt with rooms showcasing a unique theme and a skit performed by volunteer actors. While the actors may be volunteers, the costumes and make-up were professionally done and very realistic. This was most evident in the final pre-tour staging where you receive final instructions before embarking on your tour. While it’s very easy to get distracted by the costumed actors be sure to take note of the keen attention to detail both with the facial make-up/costumes of the actors as well as the staging set as well. This same attention to details persists throughout this entire haunt. This haunt can be found right off the main drag (Hwy 60) in downtown Hartford. Look for the flashing sign to point you to the parking lot. Great location. An abundance of well lit parking and a warm place to hang out while you wait. The courtyard between the waiting area and the entrance really set the tone nicely. My tour lasted approximately 20 minutes. This year’s Observation Deck is one of THE BEST techno-effects scenes I have EVER experienced! A fantastic venue along with a nice variety of sets, creative ideas and exceptional special effects make Terror on Rural Street a haunt definitely worth checking out! This year’s edition of Terror on Rural Street has my vote for “Best Year Ever” for this haunt. by Captn_DeathSchlager (Senior Review Crew Member) after attending on Sunday, October 7, 2018 at about 7 p.m. 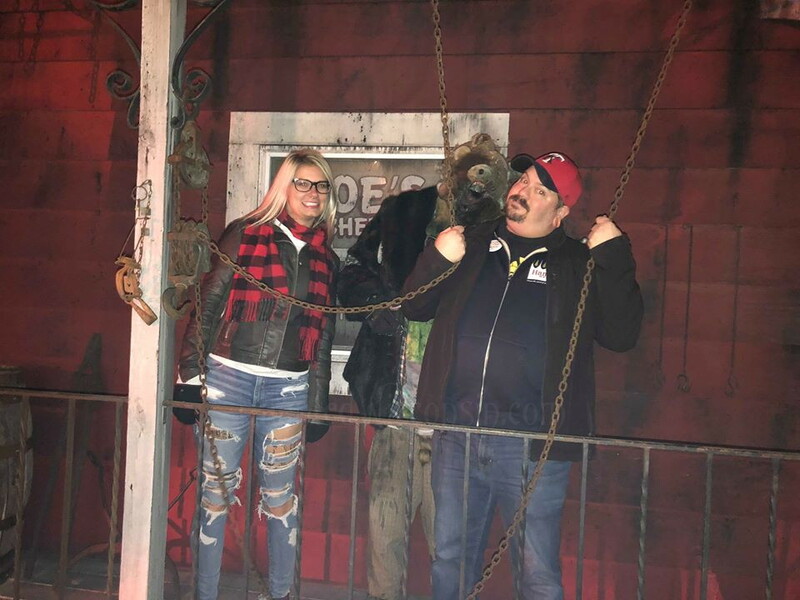 If you tour as many haunts as I have you’ve probably realized that while haunts come in all shapes and sizes and offer different creature features they all have one thing in common….they all want to scare the bejesus out of you. Similarly, you’re probably aware that while cars come in all shapes and sizes and offer different creature features they all have one thing in common…to get you from point A to B. Likening Haunts to Cars, I would classify the Dwelling of Despair Haunted House & accompanying Forest of Fear as the minivan of Haunts. While its initial appearance as you drive past will likely not give you reason to look back over your shoulder for a second look…when you get behind the wheel of this Haunt it performs as admirably as the Tesla in the quest to scare you senseless. 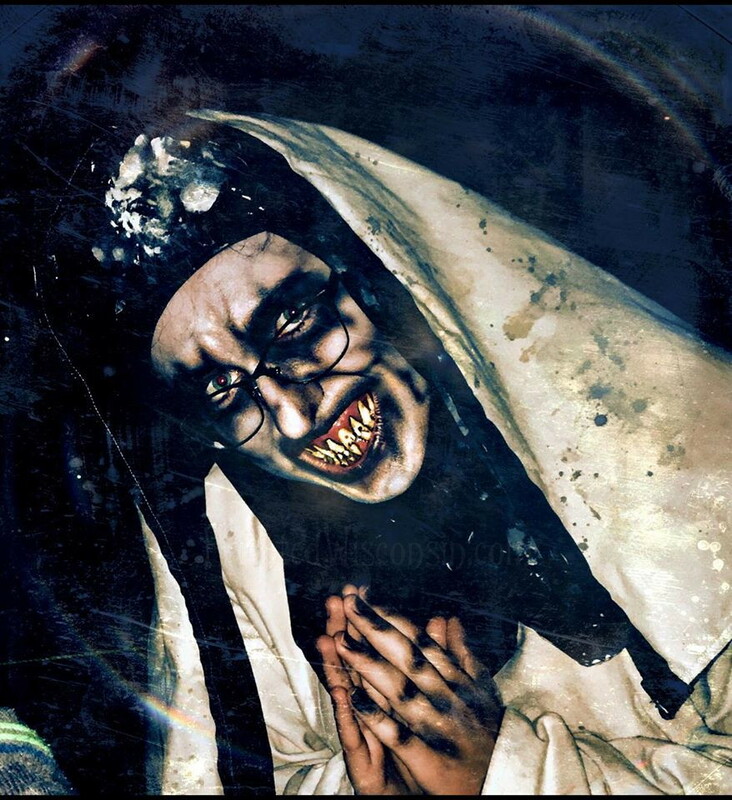 The Dwelling of Despair Haunted House & accompanying Forest of Fear is a self-guided, interactive ghoulish attraction known for its awesome animatronic special effects, elaborate decor, skilled actors, unique monsters, unusual themes and chilling detail! 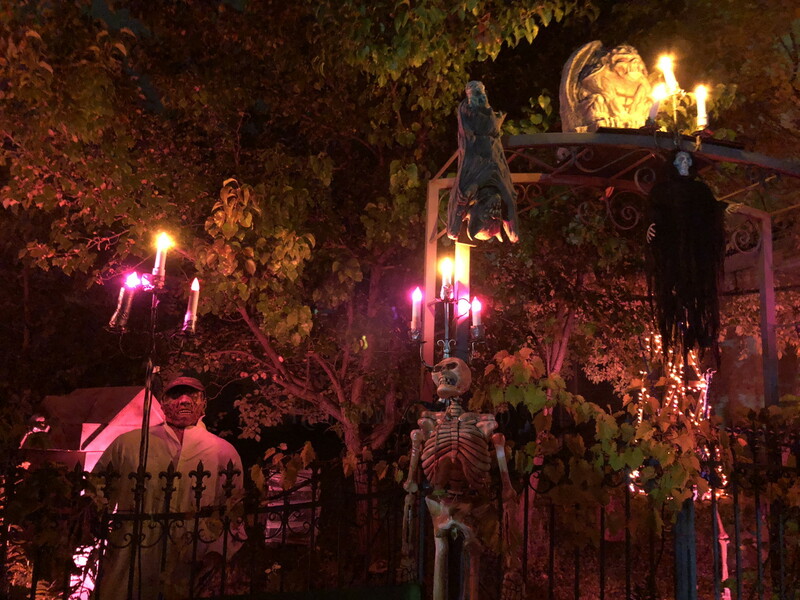 Now in its 34th season the Dwelling of Despair has prided itself in providing a creative and ghoulishly good time to all haunt goers along with a few (ahem, more like several!) frightful moments. 2018 marked my 26th visit to this haunted venue and similar to prior years I was once again amazed at how many of the sets/themes have changed. 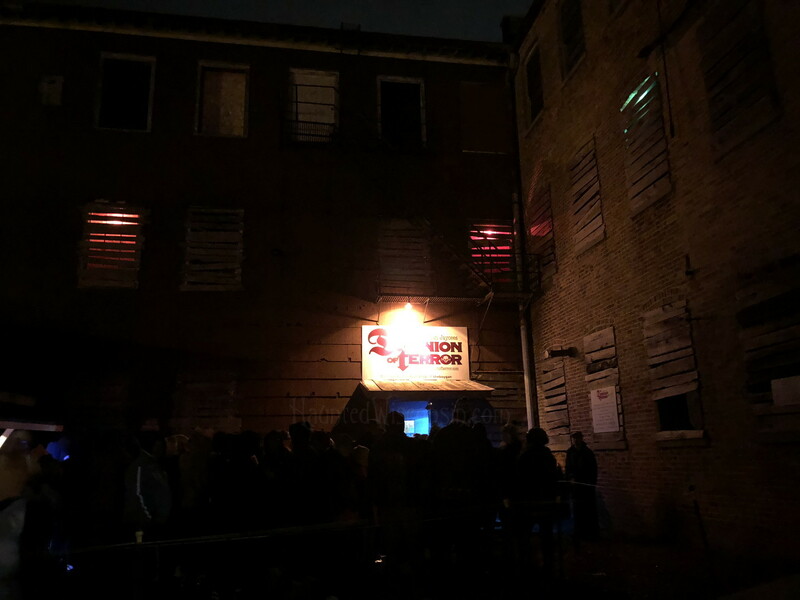 While you may notice quite a few similarities along your terrifying tour outside of this haunt, what awaits inside will torment and twist your mind in new ways. Following the lead of last year’s version, the chills, thrills and scares are delivered more upfront and in your face than with the skits that traditionally tormented you in the Dwelling of Despair. Rest assured though, this haunt still offers opportunities to interact with the demon’s inhabiting the Dwelling of Despair and retains the same Halloween charm that has brought guests back for the past 34 years! 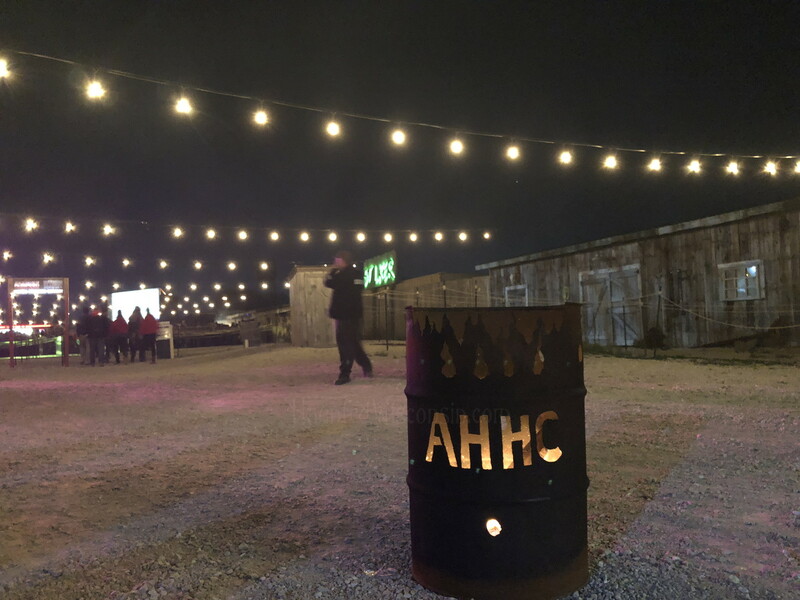 The 2018 edition of this haunt presents two horrifying sections to test your wits and your desire to survive. The Forrest of Fear kicks off your terrifying tour on a dark and twisted path patrolled by evil spirits and several fiendish ghouls. If you're lucky enough to slip past these gorish guardians the entrance of the 3 story Dwelling of Despair awaits from the 3rd floor balcony. To escape the nightmares found within the unfriendly confines of the Dwelling of Despair you must successfully navigate a maze of uniquely themed rooms and hidden passages through the bowls of the entire house. Along the way you are sure to encounter each and every inhabitant of the house...some fun, some helpful but most of all they are all quite frightful! My tour group this year consisted of 2 teenagers attending this haunt for the first time and 3 adults who have visited in the past. All thoroughly enjoyed their experience this year noting how much they enjoyed meeting Wild Eyed Kid Rock, the giggling Gaggle of Clowns and the mind boggling maze. This may not be the easiest haunt to find. If you’re on HWY 60 in Slinger look for the lighted portable sign with a flashing arrow on the north side of the road. Fireman’s park is an immediate right turn after you make turn north off of HWY 60. The Haunted House is actually tucked away after a short winding drive into the park. A great mix of adult and young actors delivered entertaining performances. 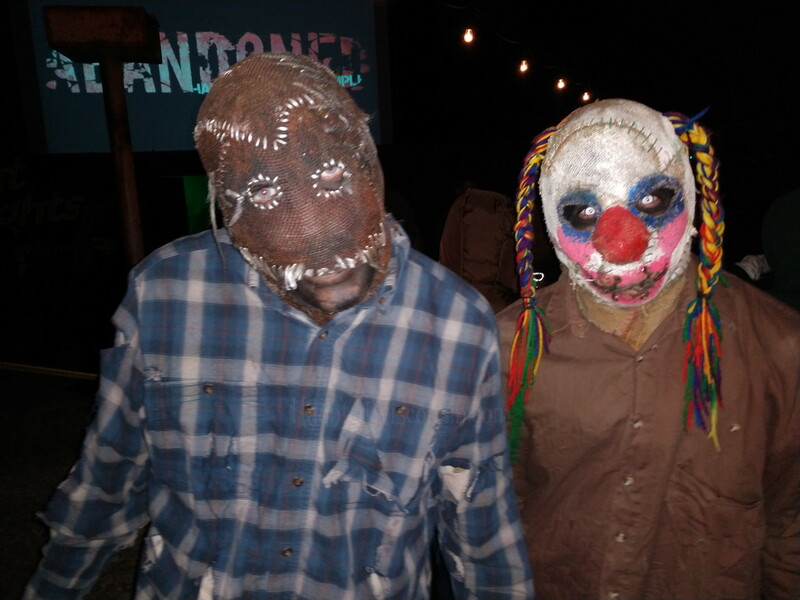 Less veteran haunt goers looking to get freaked out will not be disappointed. All haunt goers will be certainly be entertained. Several to choose from…. I don’t want to trick anyone out of experiencing the sensational surprises that await but interacting with Wild Eyed Kid Rock was a real treat. 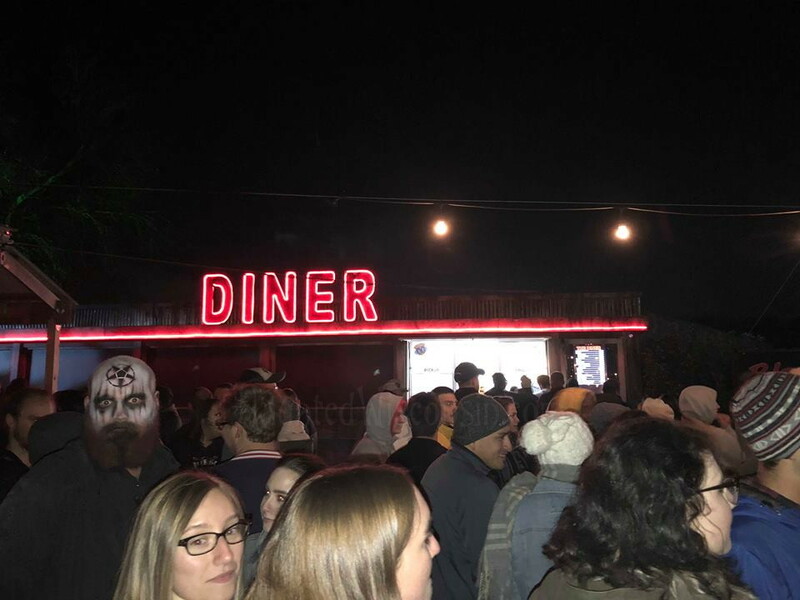 by hex_on_you (Junior Review Crew Member) after attending on Friday, October 5, 2018 at about 7 p.m.
From arrival to end--this haunt was very well organized. We were able to find the location easily, even with it in the middle of the countryside! It was a cold and rainy night--but all of the attractions were still open. If its rainy--come prepared! You will be outside and walking a majority of the haunt. The rain didn't detract from us enjoying the live actors, the amazing props, and the different fx and interactive scenes. 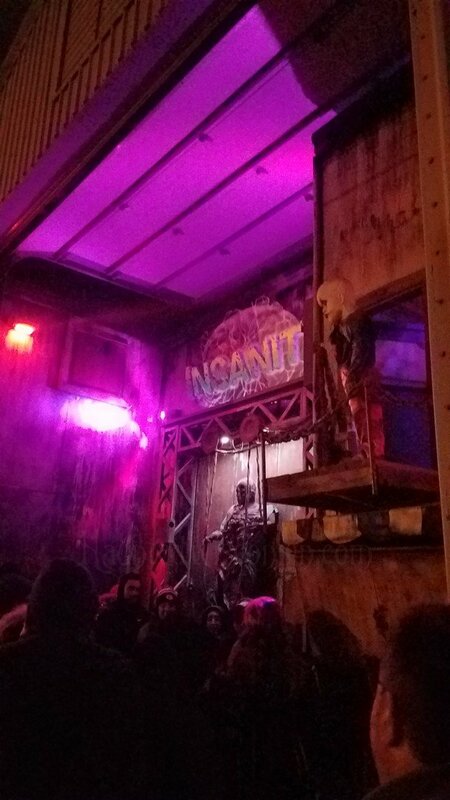 This haunt included seven different attractions and a "zombie haunt" (which we didn't try out this time--maybe next time!). It was reasonably priced and there was different options for packages. There's even a special online only "terror treatment" option--make sure you look into this if you want to give your friends an "extra special" experience! 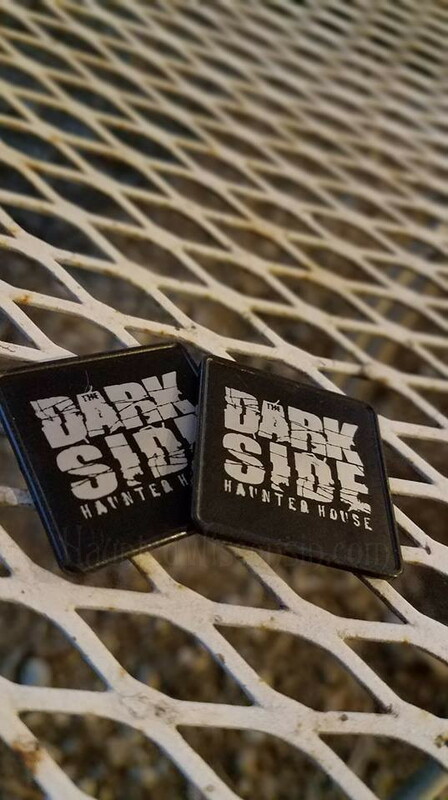 The Dark Side includes The Decent, Twilight Nightmare, Backwoods Revenge, Mephistopheles Lair, Schizophrenia, Foxglove Nursery & a haunted train ride! Each attractions gives you a new level of scares and keeps your senses on edge. We loved the change in scenery, from a mineshaft, to a tractor ride, a walk through the woods and cornfields, and even a haunted train ride at the end. We also enjoyed the change in elevation--you will find yourself deep underground in a mineshaft, and high up in the trees in the forest. This is a haunt that you will want to add to your list this season! 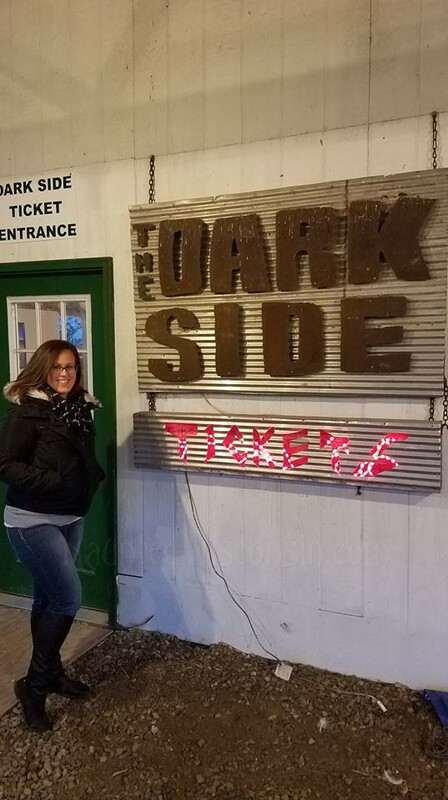 To add to the scare factor, The Dark Side is located in the countryside, in the middle of farmland and cornfields. It was easy to find, and they had a light up sign at the end of the road and a sign at the entrance. The Dark Side has a covered waiting area and line with concessions, which were reasonably priced. It was a rainy and cold night, so having the covered and indoor areas was appreciated. 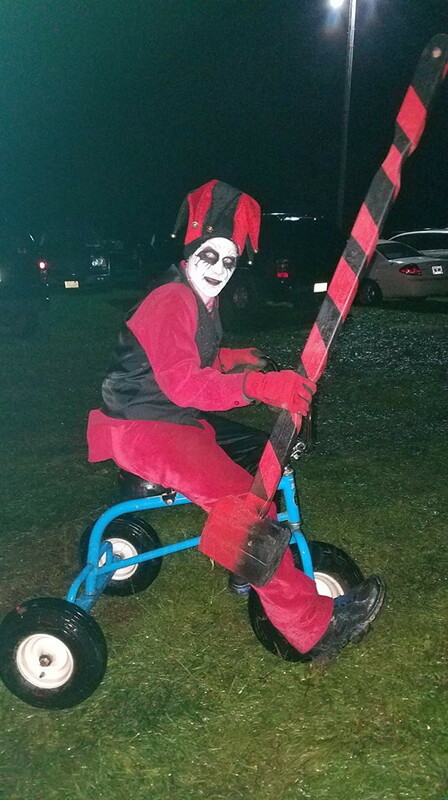 There was a creepy jester on a tricycle in the parking lot--watch out! The actors that were spaced across the haunt were great. The grandmother figure by the fire at the entrance of the woods was excellent--she stayed in character, had a great story line, and her makeup and costume were on point. We were hoping for some more jump scares--especially in the woods and in Mephistopheles Lair. We would have loved to see more live actors spread throughout the seven attractions. The Decent: This haunt was 'mineshaft' themed--and it was very well done. We loved the 'decent' downward into the mineshaft--and the entire haunt was well set up by the actor that took us to the top of the hill. We loved the fx done with the stairwell and the walls throughout this haunt. Twilight Nightmare: It was rainy and cold--but that added to the eerie factor of this tractor ride through the woods. 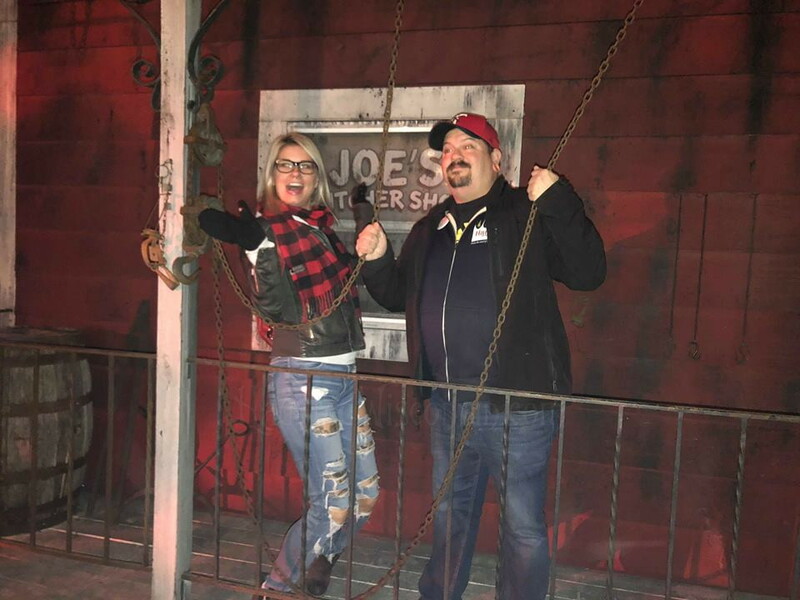 This ride will literally make you jump out of your seats--the actors in this portion of the haunt were excellent and we enjoyed the different scenes and fx! Backwoods Revenge: We loved the grandmother figure that set up this portion of the haunt. She stayed in character but was also very interactive. The scenes throughout this haunt--especially the graveyard--were very well done. We would have LOVED some more jump scares and a few more actors throughout the dark wooded portions. The climb upward to the 'skywalk' was excellent--throughout all seven haunts we enjoyed the change in elevation and interactive fx. Mephistopheles Lair: You had better choose the right door! We were lost in this haunt for a bit--and when we exited we were still lost. There wasn't and live actors in this portion, and once we got out we had to use our phone flashlight to see where to go next. In other portions of the haunt, they used rope lighting to light the path and the exit of this haunt would have been a great place to use these. The maze effect of this haunt was fun--but again we would have loved some jump scares! Schizophrenia: The actors in this portion were lively and we definitely had some scares that we were looking for! Watch out around every corner of this corn maze--you may be led astray! Foxglove Nursery: The scenery and props in this haunt were excellent. We loved looking at all the detail as we made our way through the greenhouses--it even SMELLED like a greenhouse! We loved the make up and costumes on the live actors--we would have loved if they interacted a bit more! Train Ride: The seven haunts ended with a train ride--it was dark and covered, so we couldn't see where we were going or see any scenes or actors. The only scare came from the sound of a chainsaw. We loved the idea of a dark train ride--but a few scares or scenes would have made it more memorable! From the ticket line to the end of the seven haunts, we were there for about an hour and a half. There was a decent amount of guests while we were there, and they definitely had measures in place to deal with long lines and lots of guests. They were also well staffed in the waiting and concession areas. I don't want to give it away--but look out when you're on the amazing 'skywalk' in the forest! Kudos to the staff and actors of The Dark Side haunted attraction. You took the location of a farmfield and forest and made it into a true nightmare experience. This haunt would be elevated by having a few more live actors--but overall from start to finish we were on edge wondering where the next scare would be coming from! Add The Dark Side to your list this season! 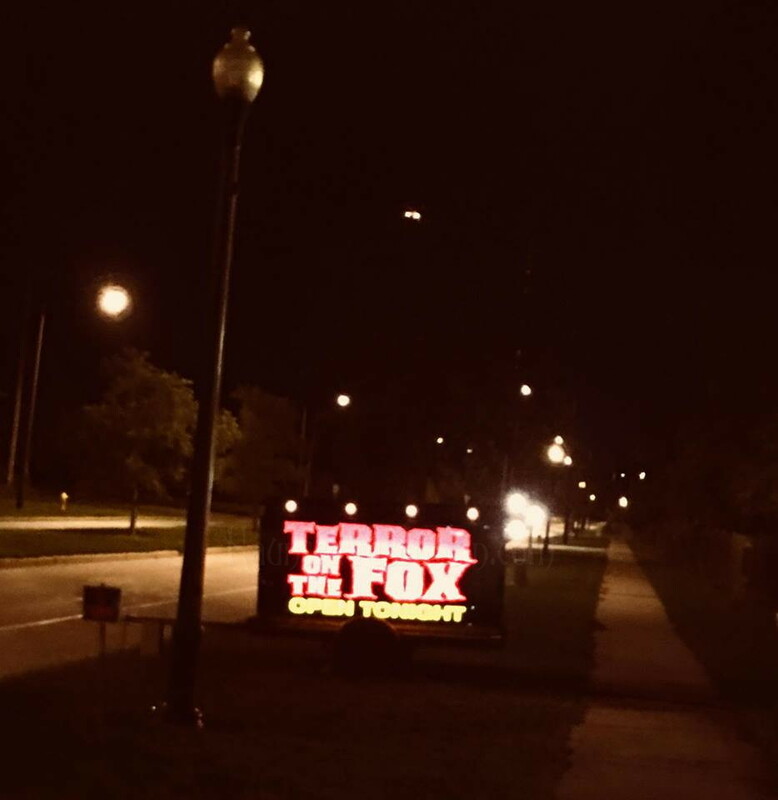 by majorXpsycho (Senior Review Crew Member) after attending on Sunday, September 30, 2018 at about 7 p.m.
Now in its 22nd season, Terror on the Fox has long been considered to be one of the top haunted attractions in Northeast Wisconsin. Although the haunted train ride and house have been a staple in Green Bay, each year they change significantly and continue to grow. They were recently acquisitioned by 13th floor entertainment (one of the more recognized names in the haunt industry) and I believe this has resulted in the tremendous growth. Last year, I felt there was too much “dead space” in the Slaughter house, but this year the Slaughter house was replaced entirely by Blackthorne cemetery. Blackthorne cemetery is a partially indoor, partially outdoor haunted attraction that mirrors a mausoleum and graveyard. Overall, this is a professional level haunted attraction and you are frightened from the moment you step on the train ride until you are running for your life to the Parking lot. Terror on the Fox is located at the National Railroad Museum not far from the heart of Green Bay. It is a three part attraction including a long haunted train ride on an original double decker passenger train, Blackthorne Cemetery a partially indoor and outdoor haunted attraction and finally Hawthorne itself the main haunted house. The $25 tickets include all 3 attractions, but be aware the popularity of this attraction can cause lines to grow, so there is the option to purchase “fast pass” tickets for an extra $10. New this year is the addition of the Blackthorne “cemetery” and the vision as you approach is just as grandiose as the Blackthorne house itself! We were a small group of 3 and were sent through both attractions by ourselves!! This is RARE at other attractions as typically they try to get as many people through at a time as possible. I am not sure if this is because it was a “slower night” (although it did not seem slow) or if this is a standard they are establishing for the entire year. Despite being earlier in the season, there was absolutely no lack of horrifying actors in the lines and throughout all attractions. There was never a moment throughout the cemetery that we were not being chased, followed or frightened. I typically do not frighten easy, but there were several point I let out a shriek. The Blackthorne House is one that must be seen in person. There is never a dark “hallway” and the things that are awesome from years past they keep, while they replace everything else with something even more frightening and sometimes outright grotesque. One thing I noticed that added to the house this year was the music, I do not remember hearing it so clearly in the past, but the songs played just amplified the intensity of everything around you. Overall, I was pleasantly surprised by the total length of this attraction. My complaints in the past were always: a bit on the short side and the 1st attraction had too much “dead space”. This year the total length of just the cemetery and main house was over 30 minutes! A huge increase over last year and NO DEAD space (as it long boring dark hallways). A must do this year for all! As long as you can figure out how to get to Broadway in Green Bay you can see the sign lit up in the street along with street crossing guides. Tip: Go early, the ticket booth opens 30 minutes before they start. You can avoid longer lines and have better parking the earlier you go. It is right across the street from two hotels on Broadway in Green Bay. Wait area is outside so be cautious of weather. Not a lot available to purchase the evening we attended. However, there were plenty of things to see and ghouls going about the lines. Tip: When boarding the train, try to sit the closest to the exit doors (towards the middle) as you can. This is the order which you will stand in line, so if you are the first one's off you will have less time to wait. Excellent performance by actors, never a moment they were caught off guard or out of place. Actors were flexible and engaged in some pretty interesting acts. Tip: Actor's perform better when you get scared, refrain from rude comments and obnoxious jokes. This is by far where TOFT surpasses others. This haunted attraction would be great even with the lights on! Scenes are very thought out, use of animatronics were limited ... but very appropriately used. The them seemed to flow nicely room to room and there were no long boring dark hallways. Length was just the right amount, took over 30 minutes just to get through the cemetery and the main house, this did not include the length of the train ride. All together, we arrive at 7:30 and left closer to 9pm. Excellent! They allowed our small group of 3 in alone and we never saw another group. We often run into the group ahead of us and end up with others, but you would have sworn we were the only ones there. Our most memorable moment was an area where the laser lights are just at the right height where you can not see what lurks below. One of us even fell because they were scared. No injuries, just laughs after it was over. Now in its 22nd season, Terror on the Fox manages to change significantly and continues to grow. by BrittanyAnnBula (Junior Review Crew Member) after attending on Monday, October 1, 2018 at about 7 p.m. Upon arrival you will immediately notice changes this year and BIG changes for sure. This caused great excitement right away. I was thinking to myself this is going to better than last year was great!! We purchased fast pass tickets since rain was in the forecast and we drove a couple hours to attend. The fast pass tickets are nice for a few reasons: 1. You may enter the haunts at your leisure. 2. There are bonfires going and if you would like to take a break in between haunts you can; without the worry you will be waiting in longer lines. Score for fast passes!! In the ticket area there is a bar and a DJ playing. That’s a nice touch especially if it is a busy night. Also, upon purchasing your tickets you must sign a waiver. I can’t believe more haunts don’t make you do this. This short haunt had very limited actors, but those that they had were great. They put the effort in and keep role extremely well. This haunt started the night a bit disappointed. I was hoping that the Hill has Eyes would pick it up a little bit upon exiting the first haunt only within a few minutes of starting it. The passion these actors have to make you feel like you are some where you aren’t supposed to be is exactly how you feel while you make your way through. This dark passage was full of actors and kept you on your toes. When the use of all senses gets used it makes for a great experience. The shocks, the sense of smell (maybe it was just me and the muskiness in the props because of rain) the unknown and the known makes for an exciting haunt. Not much has changed since last year overall, but the fun, excitement and dedication from the actors makes for a great time. As you enter the meat locker you never know what to expect. Crazy murdering husband, disturbed butcher, a crazy campground and a satanic church. I would have to say this part of my favorite haunt of them all. This haunt is the longest and the best in my opinion. It’s very dark, you walk along a dimly lit path and you go through several well put together scenes. The details that go into planning each scene is top notch. The props they have along the path make you anticipate something that isn’t there, but then boom; out of nowhere when you least expect it! To get to the last haunt you must take the ski lift to get you to the top of the hill. No scares, just your everyday ride to the top. This was full of twists, turns and running into walls and dead ends. As you make your way through the carnival maze you never really know which way to go. Go left, go right, nope go straight ahead. You enter these small rooms never knowing what is right behind the curtain, be on your toes and ready for anything. The suspense that someone will be in the room as you enter is the worse. The clowns will come out of nowhere…so beware these aren’t your everyday clowns!! The music and the actors really make you feel like you are lost in the big tent! This haunt is relatively short but, packs a huge punch. This makes the night complete and a great way to finish. Plan to spend about an hour here once you get going through the haunts on a decent night; on a busy night I wouldn’t be surprised if the lines are a couple hours long. This is an AWESOME haunt for a GREAT price. Overall if you have been here within the last couple years I would give it a few more years before coming back. The haunts are very similar to the years past. The actors really make this haunt what it is. They keep you on your toes and really stay in roll very well. They are dedicated to making your experience great. If you never been here it’s worth the drive for sure and if you are local you need to make a visit. If you plan of visiting this year mud boots or great shoes is highly recommended. With the large amounts of rain there was a ton of mud and slippery paths. They did a great job by putting straw down to help the path, but there are still some pretty slick spots. Kinda adds a great touch to the whole experience that wasn’t planned or hoped for. Using a GPS will take you right to the place. Upon leaving your vehicle you may feel lost. Fortunately, there are people directing you to the tent where you can purchase your tickets. There is a DJ, fire pits and a bar. There aren't any characters, but the fire pit and the DJ are a great touch. The bar is an added bonus to those would would like to enjoy a drink or 2. Top notch; they are great, stay in their roles well and put a ton of effort into their performance. The scenes are great and the details are amazing. The lights and the sounds fit perfectly to the scenes. I love the decorations and the small touches they add to some scenes to put it over the top! Once you start the haunt plan for around an hour. They have plenty of people directing and over looking the crowds. The sinking ground where we almost biffed it, the vortex tunnel when we were trapped or the shocking experience of the narrow hallway! Overall always a great haunt, but not much has changed from last year. The price for this length of a haunt is great. Rumors have it a new haunt is coming so we shall wait and see. They are also talking about big changes since people are getting tired of stale haunts year after year. That is a great sign that they are listening to their customers!! by dubstyle_2k (Senior Review Crew Member) after attending on Saturday, September 29, 2018 at about 8:30 p.m. I decided to check out Hill Has Eyes this year. It has been three years since I last reviewed this haunt, and was eager to see what they have done to change it up. I am going to preface this review by stating that if you visit Hill Has Eyes make sure you pay attention to the weather. I bought VIP tickets ahead of time, without looking at the weather, this was my biggest mistake! As soon as I pulled away from my house the rain started! The problem with buying your Hill Has Eyes tickets online is they are only valid that day. The majority of Hill Has Eye is outdoors, on a hill, walking on dirt trails. On any other night I would have loved this, but that night it was cold, rainy, and VERY slick due to all the mud you walk through. Of course this isn't the fault of the haunt, it's my fault for not checking the weather. I will say, if you are headed to Hill Has Eyes, wear shoes you don't care about, but make sure they have good grip! This year Hill Has Eyes made a few changes. We arrived at the haunt and headed to the ticketing/waiting tent. The parking lot is quite a distance from the tent, and we were left on our own to try to figure out how we get from point A to point B. Well, we accidentally chose the path that led us to point C! We ended up at some bar, I'm still not sure where we went wrong, but we weren't the only ones to make this mistake. We decided to follow some people that at least looked like they knew where they were going, and finally we made it to the tent. I guess my second biggest mistake of the night was assuming it was going to be super busy like three years ago, so I bought VIP tickets ahead of time. Maybe it was the weather, maybe it was because it was so early in the season, but there wasn't very many people there waiting to get in. While you're waiting in line to get to the cashier, you have to sign a waiver. 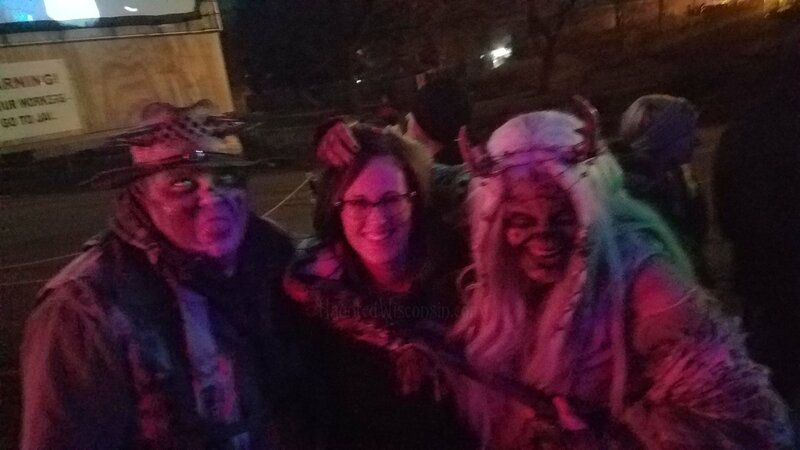 Please note, I never felt in danger while walking through the haunts (other than the muddy trails, and almost falling a few times! ), I think these waivers are strictly for liability reasons. The waiting area is pretty great, there are no actors, but there is a DJ and a full bar for visitors. Because I was there as a reviewer I didn't visit the bar, thus I don't know how prices are. Three years ago I inquired, and beers were $3, so expect to pay at least that. Because we were VIP we were able to leave the waiting area right away and head towards the first haunt of four, "Containment". Three years ago the first haunt was called "Hooded", which was great, but they've unfortunately done away with that portion. "Containment" was definitely my least favorite section of Hill Has Eyes. It was kind of short and too well lit. The theme was Military vs Hillbilly, with a few men in ghillie suits, and doctors. I think they were going for a contagion thing, but it was lost on me. Like I said, this section was short, and not that scary, we made it through in a matter of minutes and exited to an area with a bonfire and some porta potties. 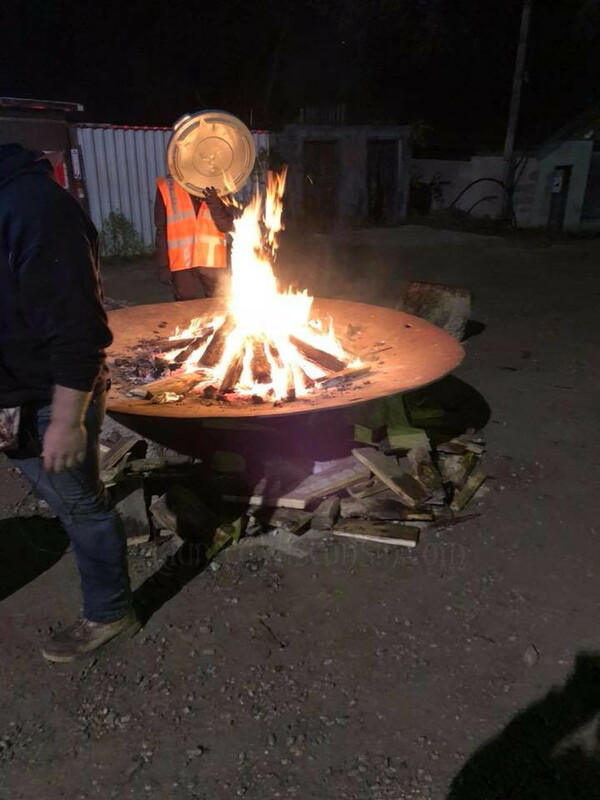 Luckily there were a few workers by the bonfire, as we started towards what we thought was the next haunt, we were redirected to the correct haunt, "Failed Escape". If you read my review of Hill Has Eyes from three years ago, then just know, I could copy and pasted what I wrote then and it would still apply. Nothing really has changed in that three years. This haunt still has a backwoods theme, and freaks a plenty. Though this haunt was too familiar, the actors in this area were top notch. Again I was with a friend who teaches in the area, so a couple actors recognized him and broke character to greet him, however a couple used it as part of their act, calling him out at times! "Failed Escape" was significantly longer than "Containment", and a lot darker, which is always a plus! My favorite part of this haunt was a very short walkway that had strings hanging down. Sounds benign, but those strings give you a tiny zap if your skin touched them! I mentioned these shocking strings in my review a few years ago, but I stated that I couldn't tell if they were zapping us or giving us a prick. This year it was obvious, these things were zapping! It didn't hurt, but it was definitely a weird feeling, I love a haunt that makes me uncomfortable! We once again made it all the way through and exited at the bonfire. Next stop, "Hunger Hollow". 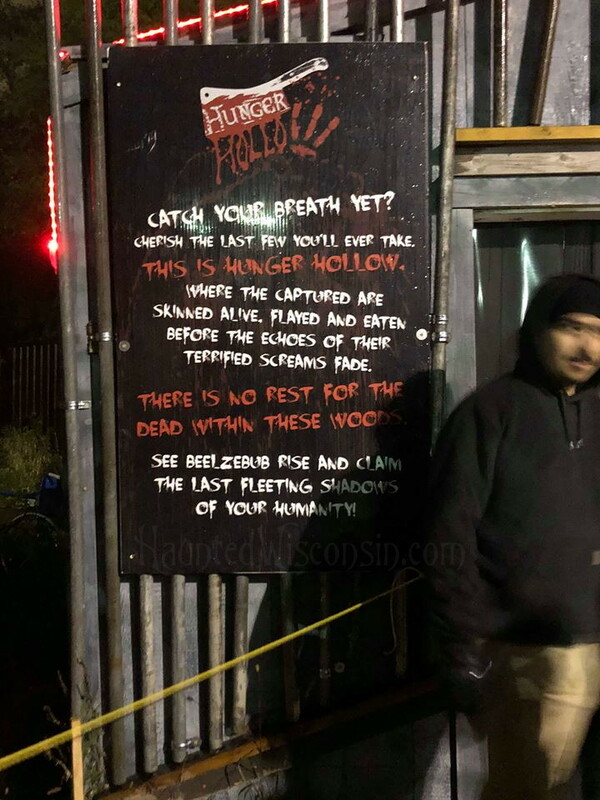 "Hunger Hollow" is another section that was there three years ago, and yet another section that I could have copy and pasted my review from my last visit. The theme still centers around a butcher shop that's using, wait for it... human meat! Nothing new here, really. Again the actors were awesome, I just wanted a different experience. Aside from the butcher stuff there is more back woods hillbillies and creeps. This section of Hill Has Eyes leads you to a satanic church that was pretty great! I enjoyed "Hunger Hollow", it was long and like I said, the actors did a fantastic job! As you reach the end of this section you make your way down a path that leads you to the ski lift, or "Scare Lift". The ski lift takes you to the final haunt, "CARNIvore". The ski lift was a little disappointing. The last time I was at Hill Has Eyes there were actors in clown suits on some of the other lift chairs that would shout at you and squirt you with squirt guns, this time, no actors at all, just a leisurely ride on a wet ski lift! Once you hit the top you make your way to "CARNIvore"
As you could have guessed, "CARNIvore" is a carnival themed haunt. This was arguably my favorite section of Hill Has Eyes. This haunt was not as long as the previous two, but I do love a carnival theme! The climax of this section is a VERY long maze that is almost exhausting! There is a spinning vortex that is always fun and disorienting, with an actress that was very good. The last time I was at Hill Has Eyes, the end of "CARNIvore" included a human puppet show. That was a real awesome way to end the experience, but for some reason they no longer do the show, I was a little disappointed. Again, the actors were top notch, and the whole experience, even without the puppet show, was great! In all I thought Hill Has Eyes was okay. They didn't change much, and the things that did change, like the removal of the "hooded" section and the human puppet show, was a little disappointing. The actors in all four sections were excellent, and the bang for your buck, length wise is bar none, the best in the area. 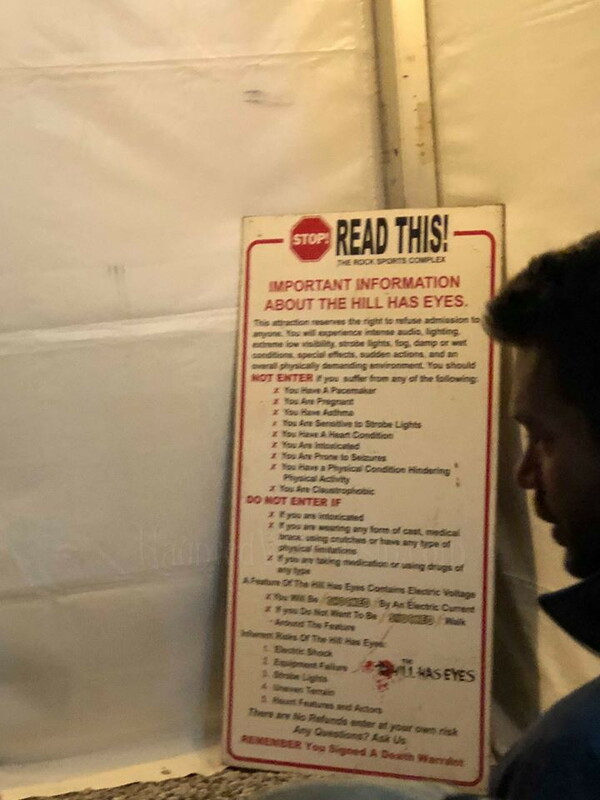 If you have never been to this haunt, I highly recommend it, if you have been to Hill Has Eyes in the past, well, you might be upset about the lack of change, theme wise. I'll go back in another three years, hopefully it'll be revamped a bit. If you're using GPS, Hill Has Eyes is pretty easy to find. If you come from south, you might get told to exit on Rawson, which takes you to the road that Hill Has Eyes is on, only that road is closed! I had to turn around and ignore my GPS until is redirected me to another way in. The road you take is very dark, I had a hard time seeing where I was supposed to turn, but I made it! The waiting area, though lacking actors, is great. There is a DJ spinning tunes, and a full bar (if you need to calm those nerves!). From start to finish, the actors were awesome! I went with a friend that teaches in the area, so through him I learned that a lot of these actors are high school kids, they did a great job!!! Hill Has Eyes is mostly walking through the woods, but the sets and props they have are great. Nothing really sees cheap or out of place. They really do a good job decorating for this haunt! This is were the ticket price makes sense. With the VIP tickets we were in and out in about 45 minutes, without I'd expect to spend upwards of 90 minutes. Compared to most haunts, this is the best haunt when considering price vs time in haunt. There were plenty of employees there to help out when needed. As a returning visitor, Hill Has Eyes was just okay. They didn't change much, and the elimination of some parts was a little disappointing. The actors were all excellent, and value of this haunt is amazing when you consider how long you are actually in the haunt. 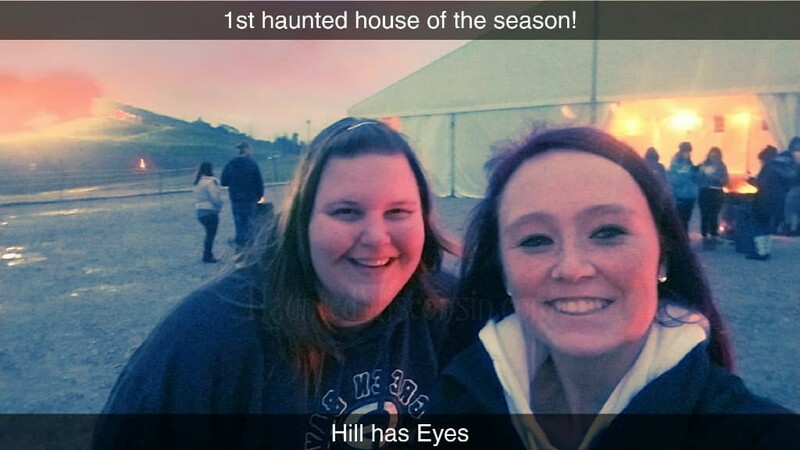 If you have never been to this haunt, I highly recommend it, if you have been to Hill Has Eyes in the past, well, you might be upset about the lack of change, theme wise. by PaigeBerrier (Senior Review Crew Member) after attending on Sunday, September 23, 2018 at about 7 p.m. 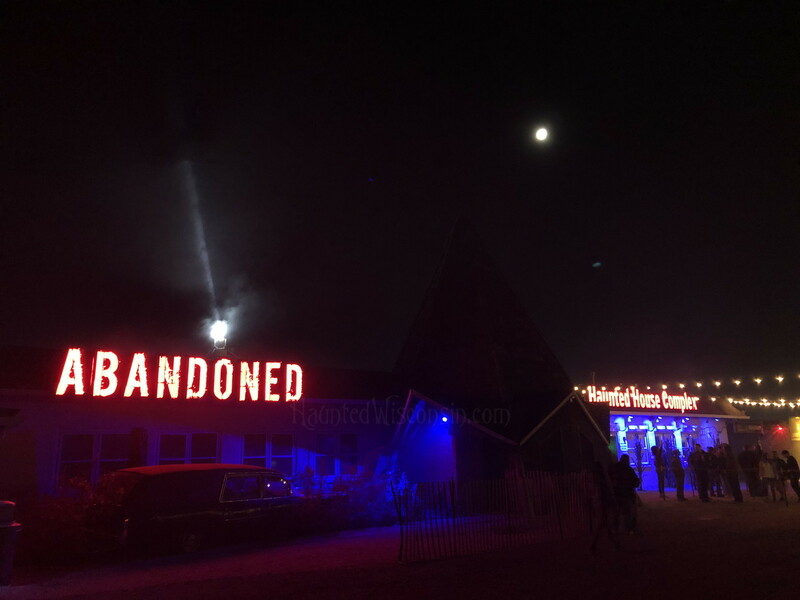 Abandoned was my first haunt of the season this year, and as always, it’s an amazing choice – this multi-haunt complex is consistently one of Wisconsin’s absolute bests! I know it’s the haunt I look forward to the most, because it is always so long, so detailed, and of course, so scary! We arrived on opening night around 8:30PM, and having purchased our tickets + fastpass we were able to quickly get our physical tickets. Although it wasn’t a super crowded night, fastpasses at Abandoned are always a good idea, and the staff is awesome about making sure those who purchase them are able to very quickly enter the haunts. I would definitely recommend a fastpass for any Friday or Saturday night – you won’t regret it! Loud, aggressive, and dark, this haunt is my favorite from the complex. Several new scenes were featured including a cave and some scary voodoo-like props. In particular we enjoyed the distorted reality brought on by streams of lasers and smoke, and actors hiding in unexpected and down below places. Lots of awesome jump scares and acting in this haunt! Tight walkways, twisting corridors and a constantly changing path are the hallmarks of this particular house. Beginning with some aggressive nuns, we were taken through several scenes, including an intensely creepy hospital (my favorite every year!). With such a long, intricate haunt there is something to scare everyone, although I did feel there could have been a few more actors down some of those tight hallways. This haunt is well thought out, with small interior scenes interrupting the eerily shifting and swaying corn. I thought these scenes were pretty unique, making topics that wouldn’t normally be scary (such as chickens and bees) into something out of a horror movie. One of my favorite elements of this haunt is watching an actor simply disappear into the corn – the anticipation of this haunt is really what makes it scary! Very visible from the highway, with lots of guides for parking and a clear ticket line. Very well organize and professional (as always)! N/A for us with fastpass (we zoomed through the lines! ), but I did see plenty of actors wandering around entertaining the crowd. Lots of great jump scares, a few humorous moments (which are always appreciated), and some people who understood the scariness that can come from silence. However, I did feel there could have been a little more actors in the haunts overall. Absolutely amazing. This haunt is so intricate and detailed, with dozens of different scenes to capture any conceivable fear. Each year I am more and more impressed with the level of detail and creativity in the set design of the haunt. Each haunt takes 20 or more minutes to go through, so it’s nice and long! Very professional and well done; with staff extremely visible and law enforcement on hand. I really enjoyed a particular subway car scene – no spoilers though! Abandoned is a bargain with 3 intricate, heart-stopping haunts that will capture anyone’s worst fears. One of Wisconsin’s most legendary haunted houses; an absolute must go for anyone who is looking for a truly awesome, SCARY night!